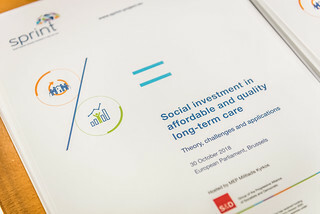 The conference on “Social investment in affordable and quality long-term care. 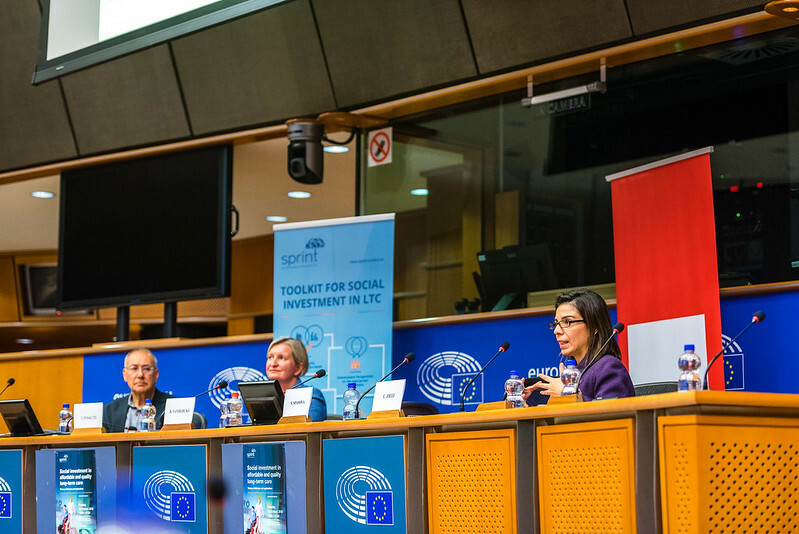 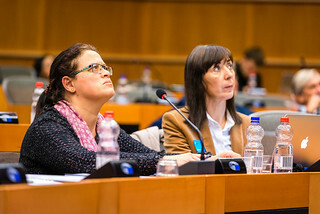 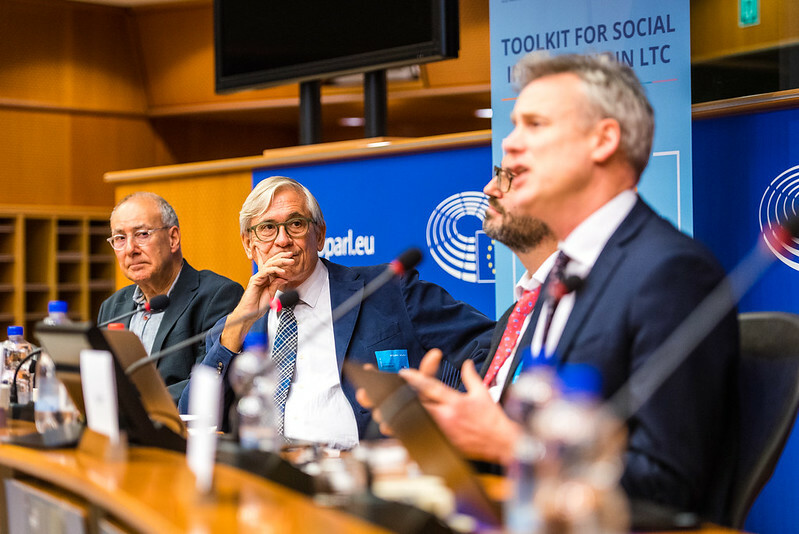 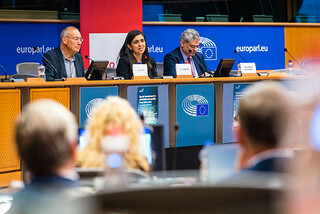 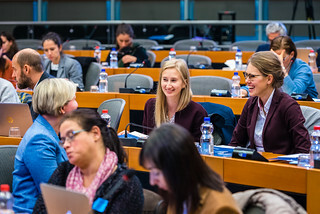 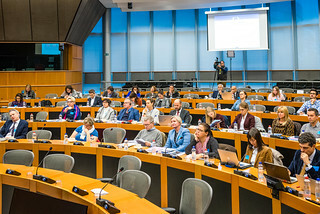 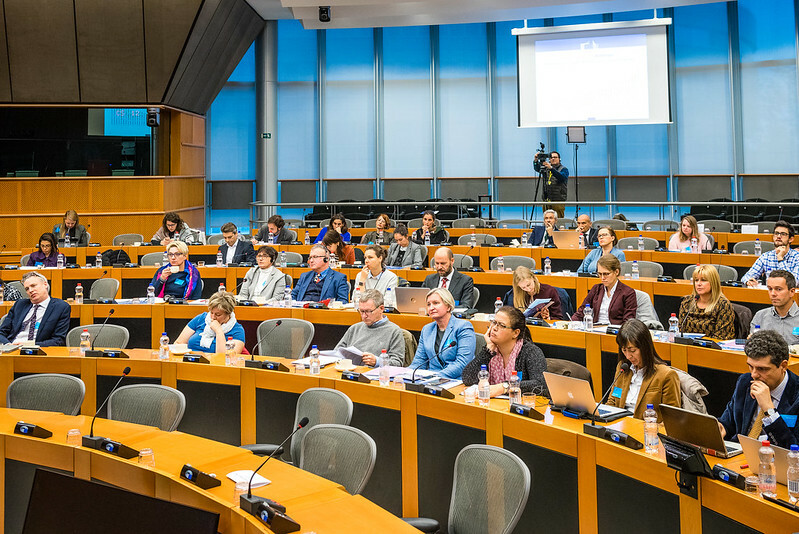 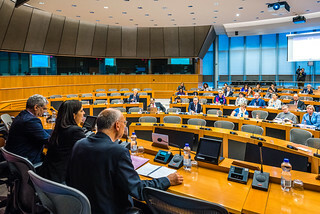 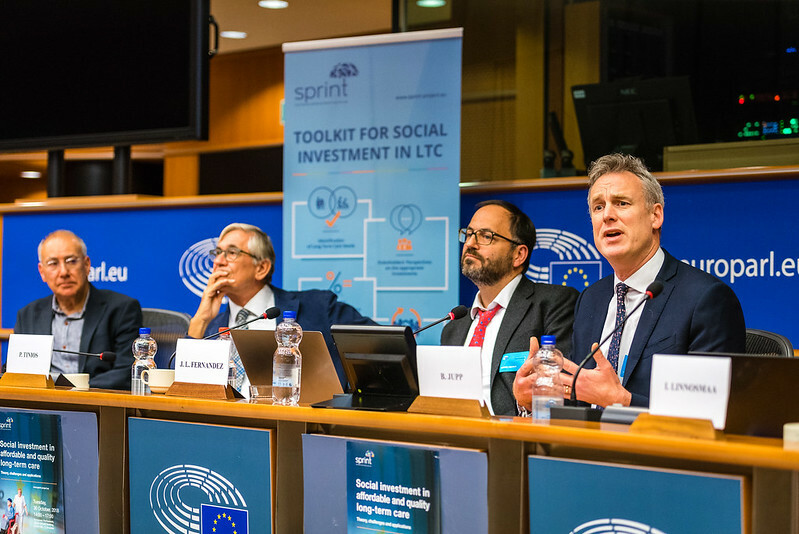 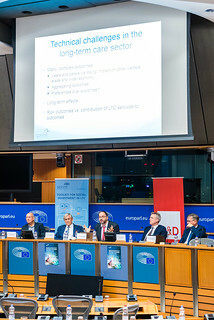 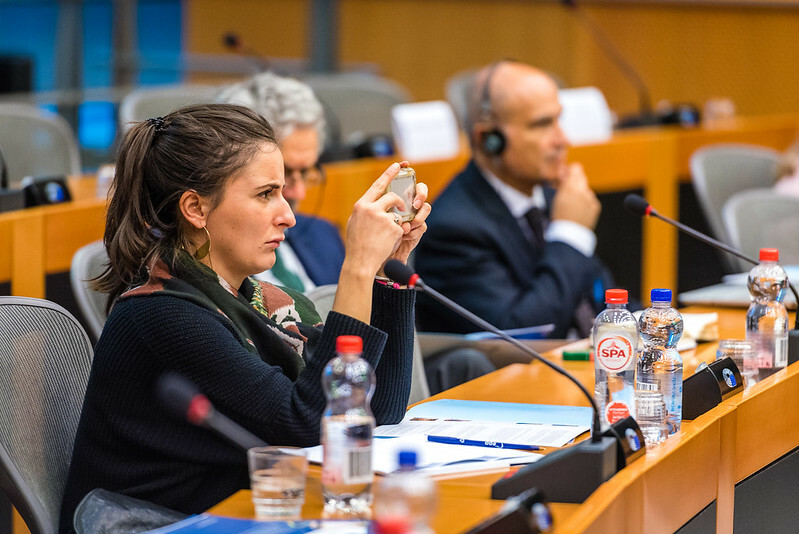 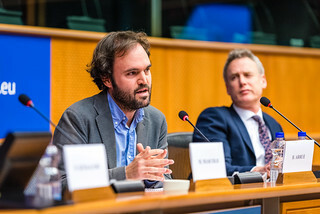 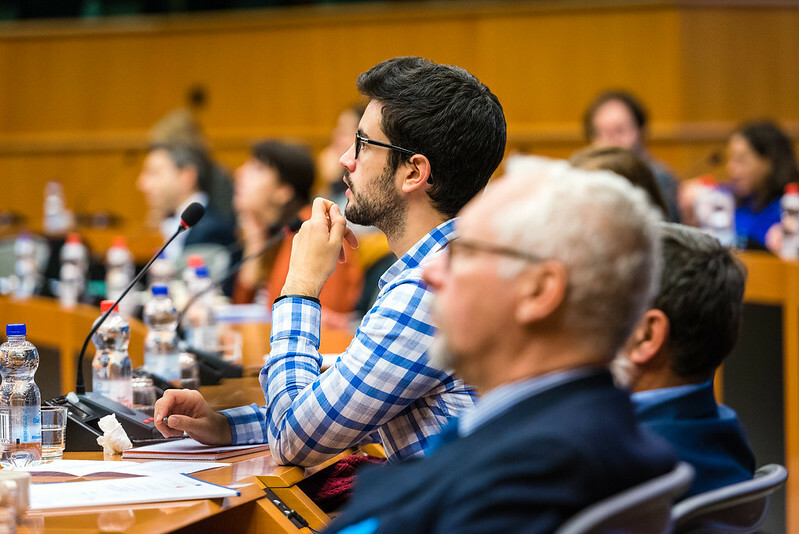 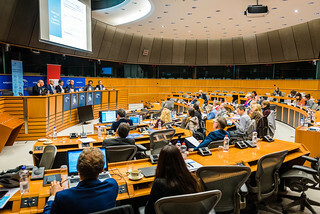 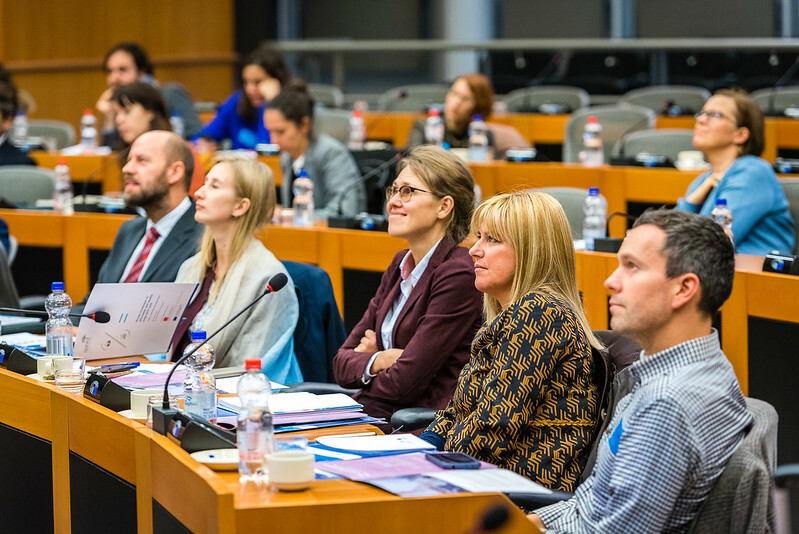 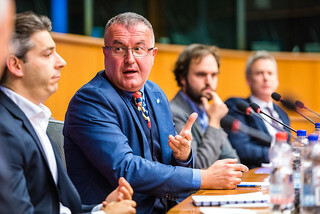 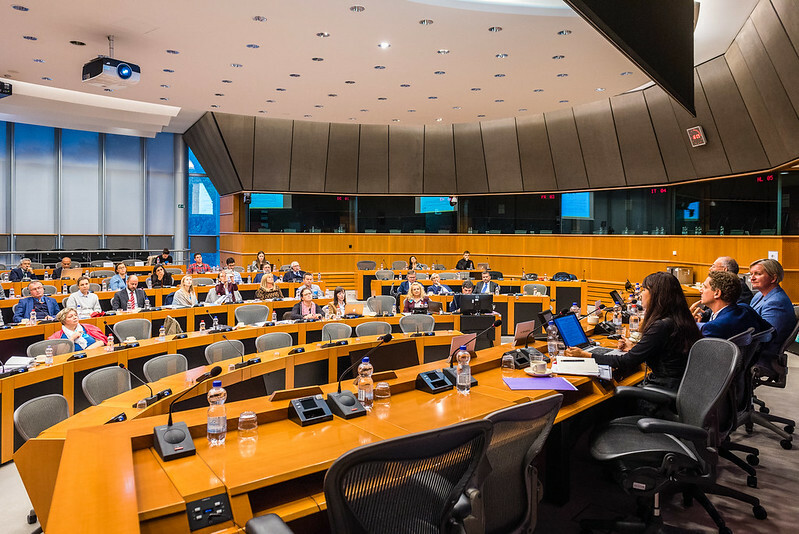 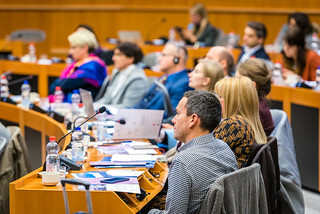 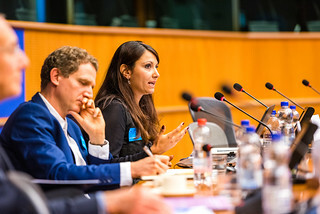 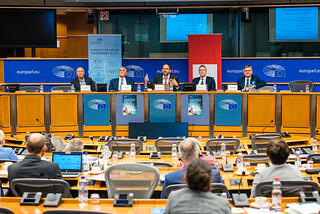 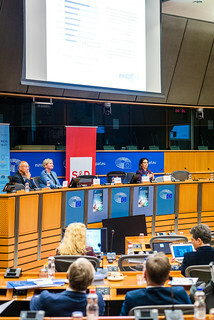 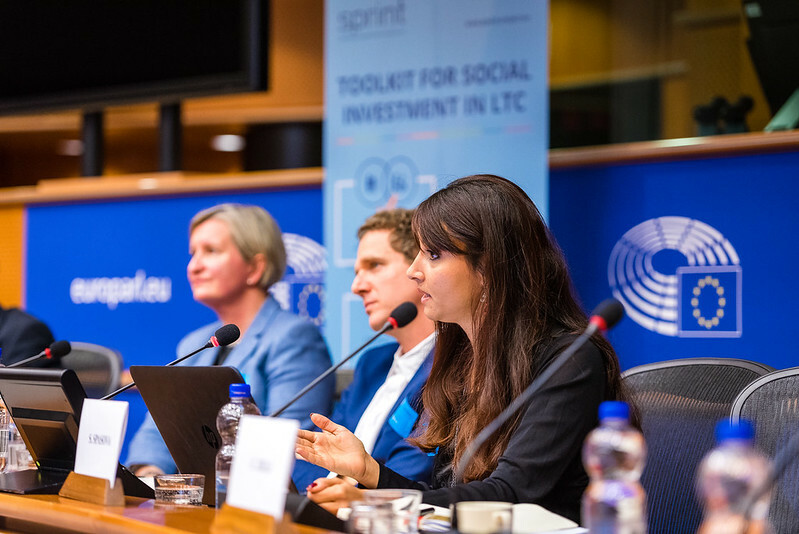 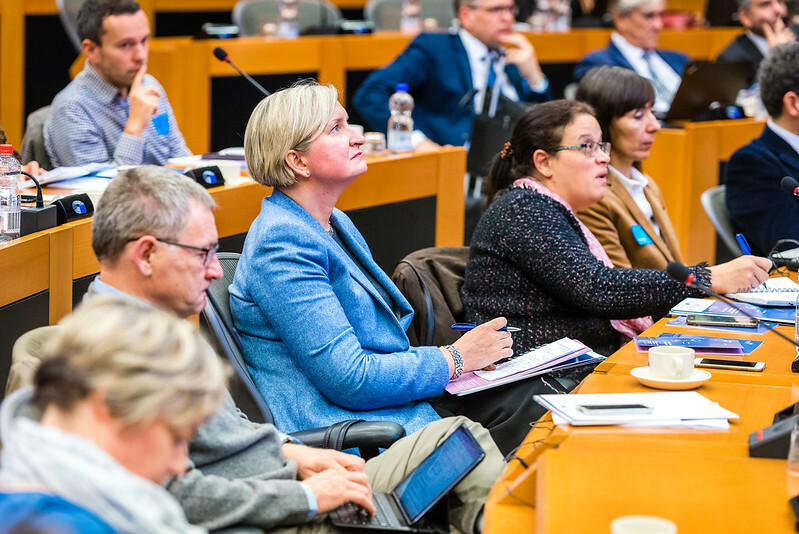 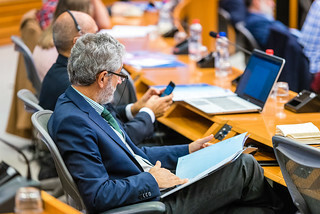 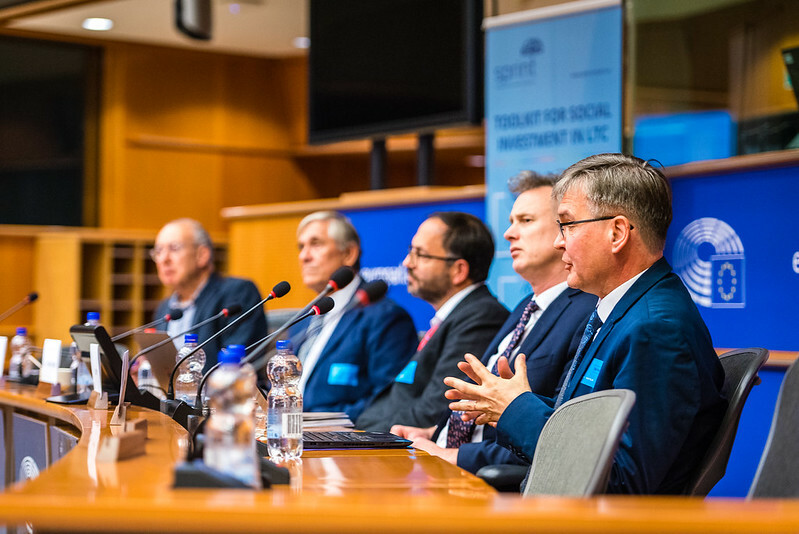 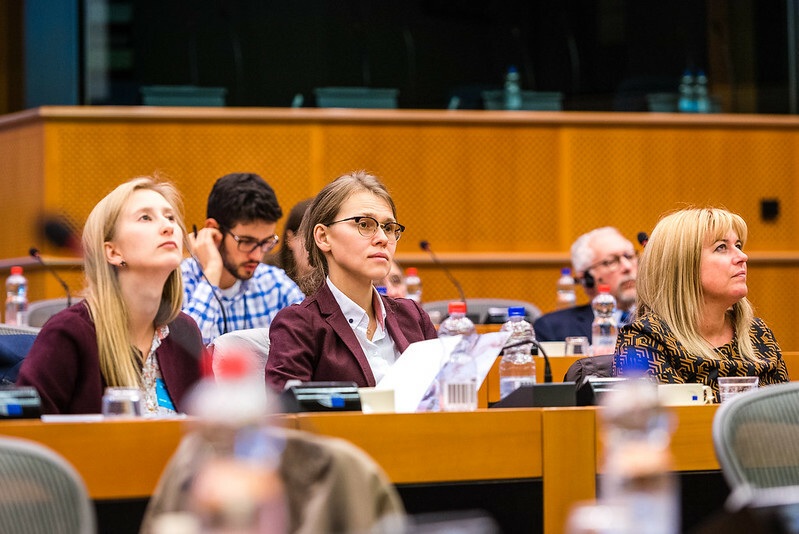 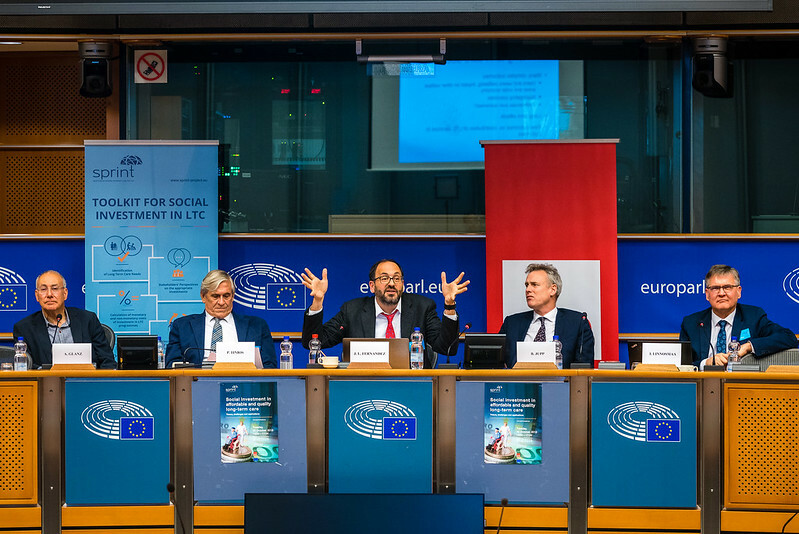 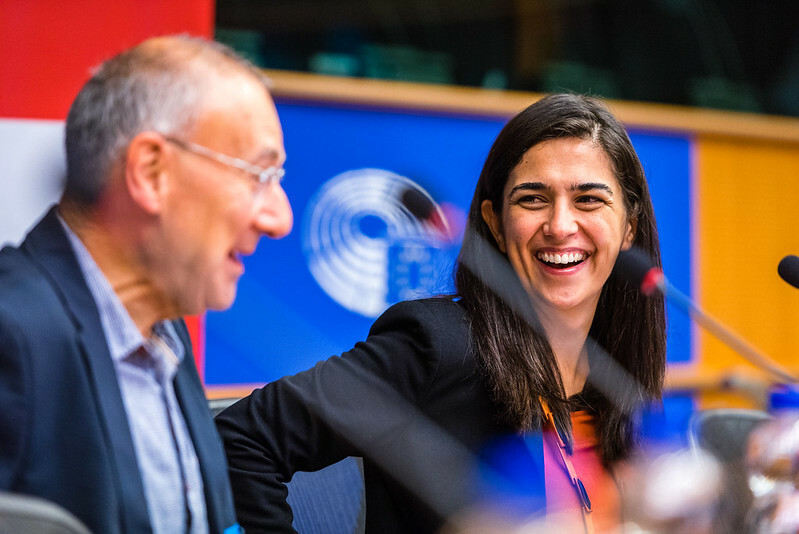 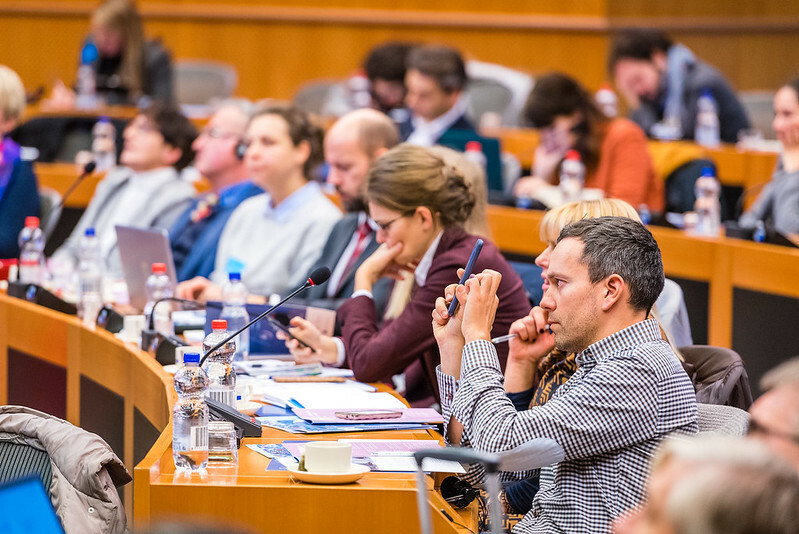 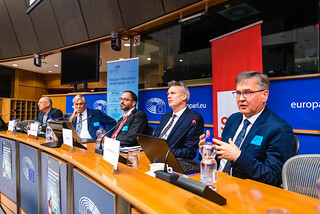 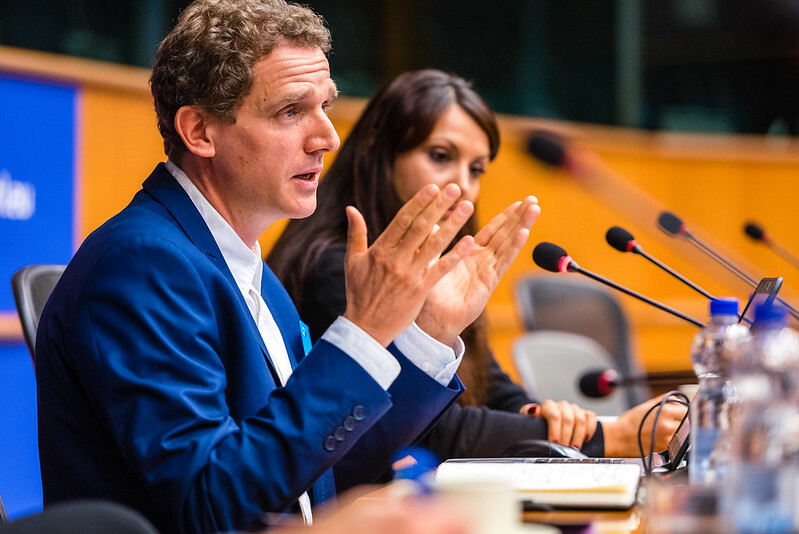 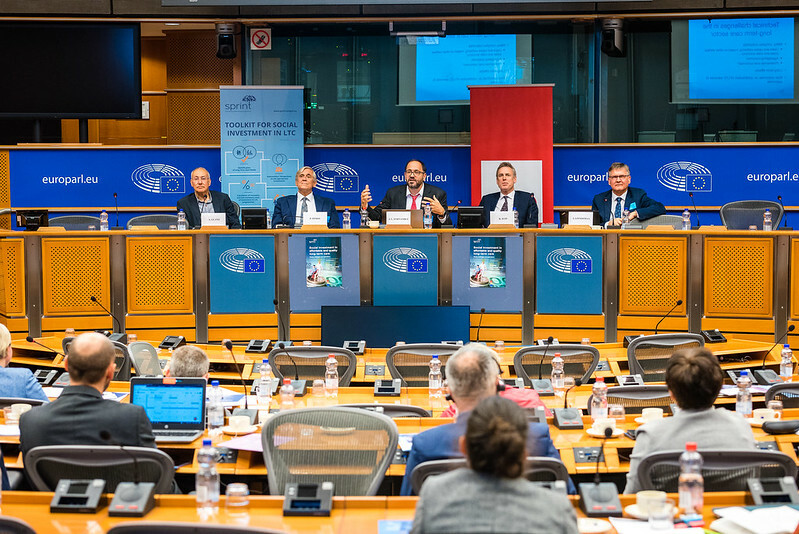 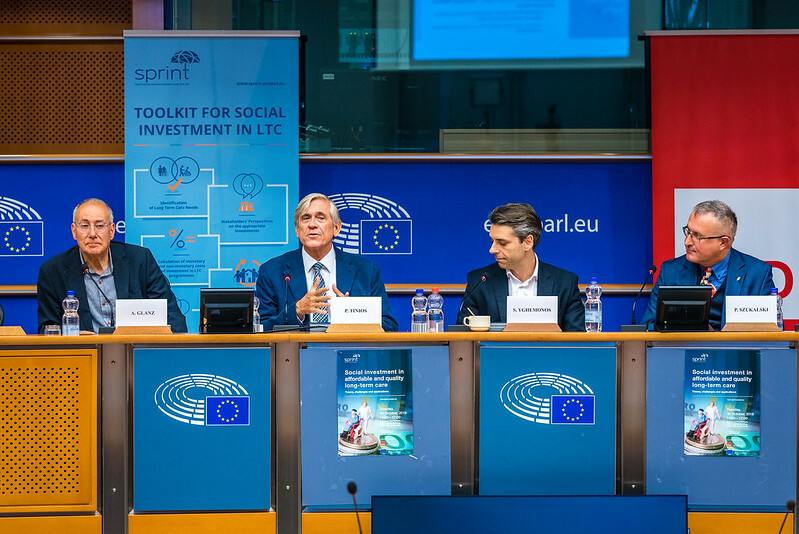 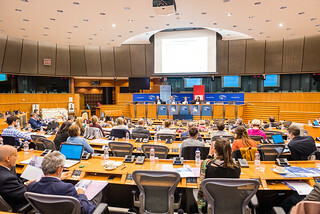 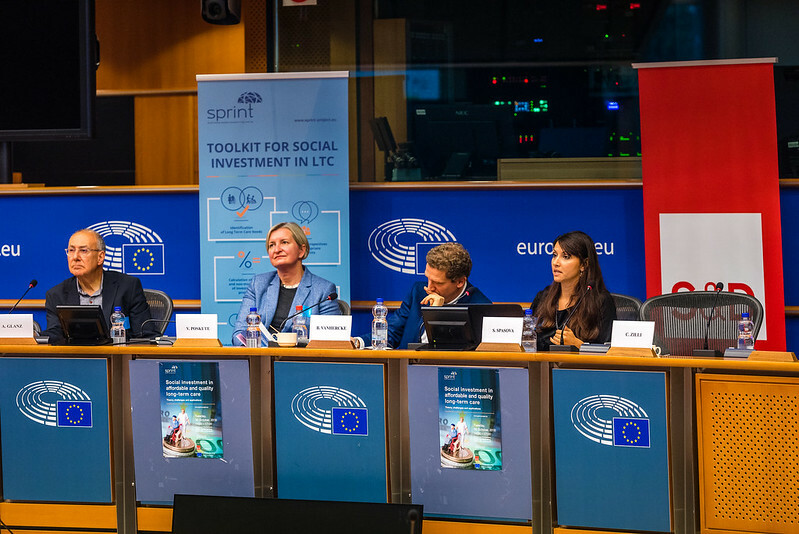 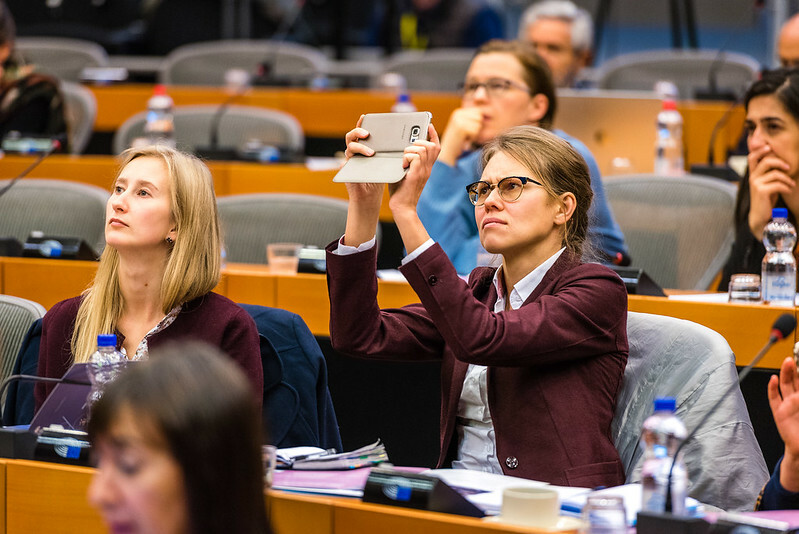 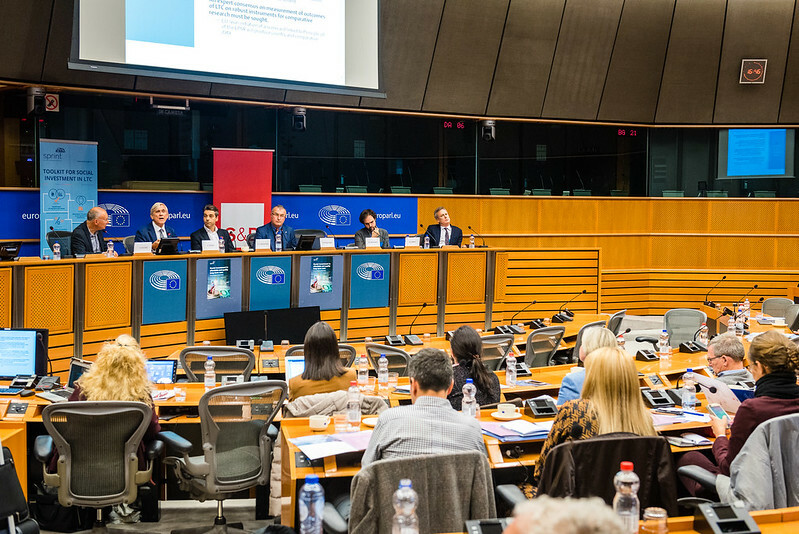 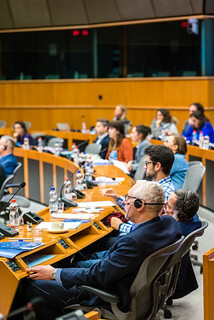 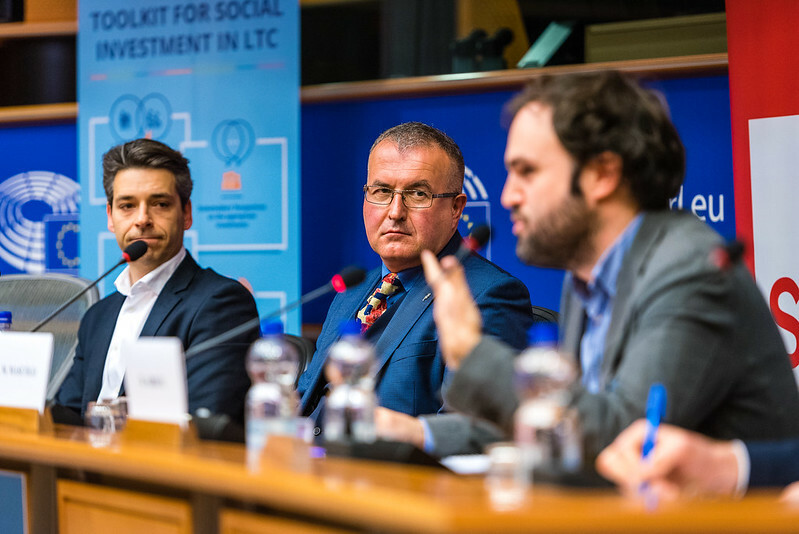 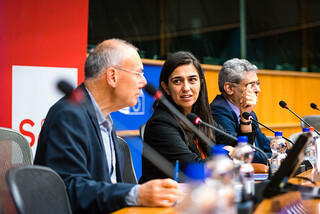 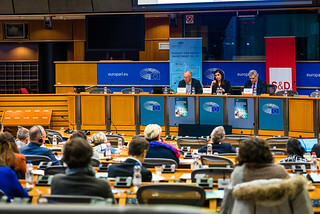 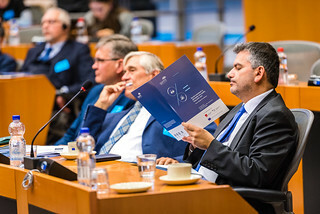 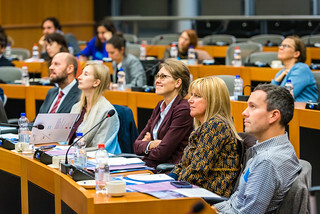 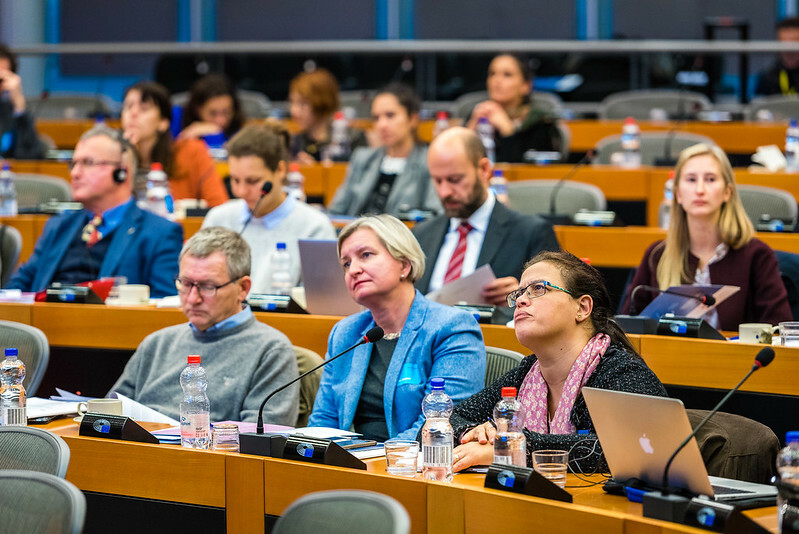 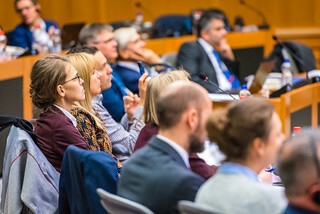 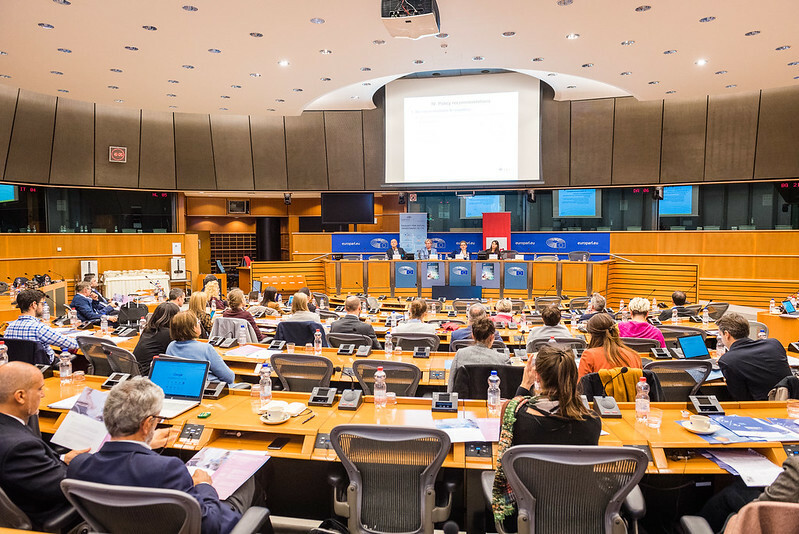 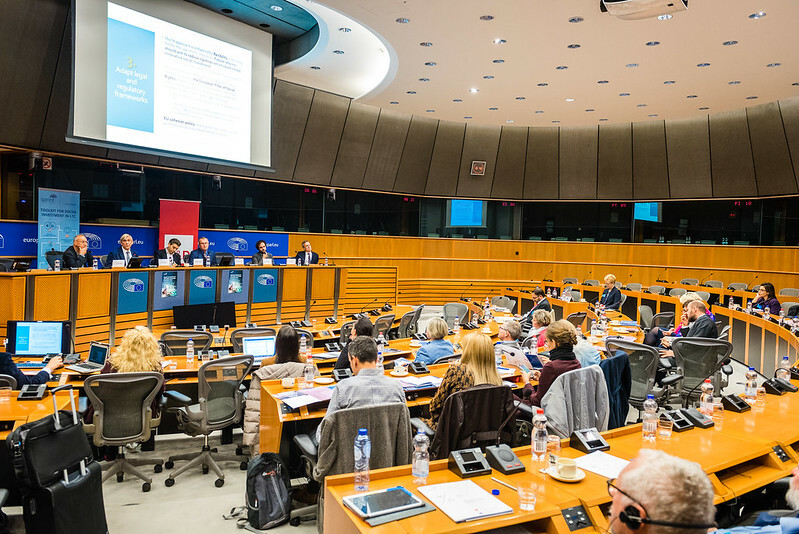 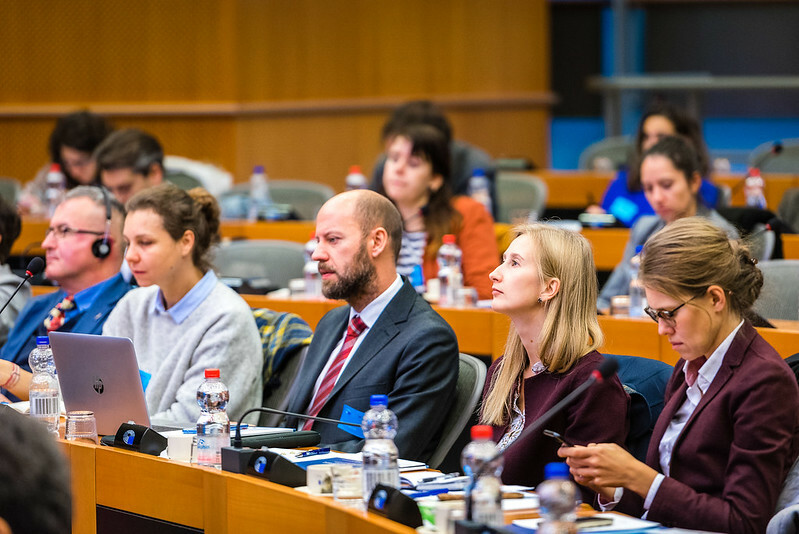 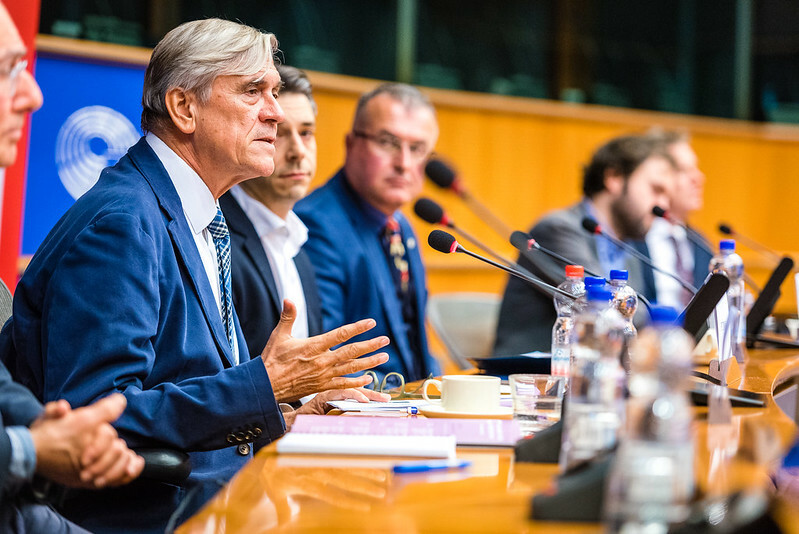 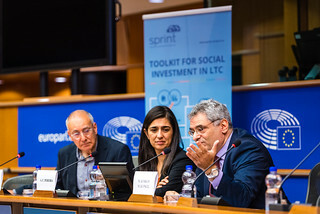 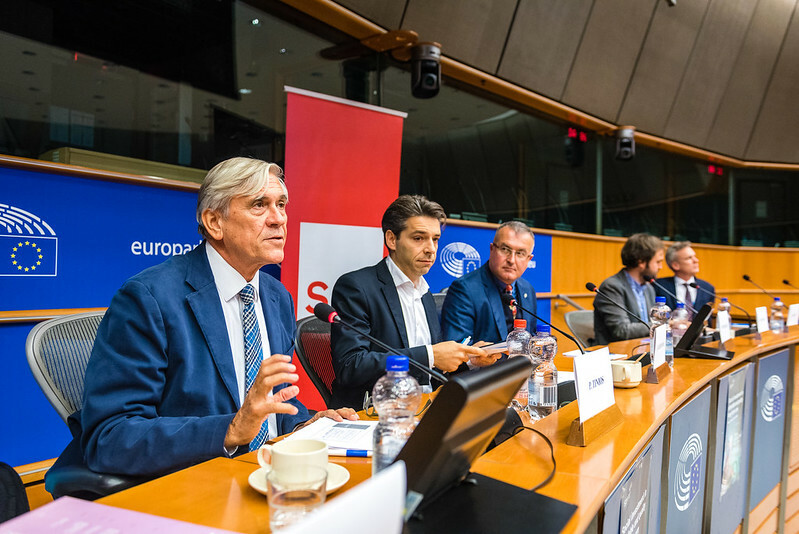 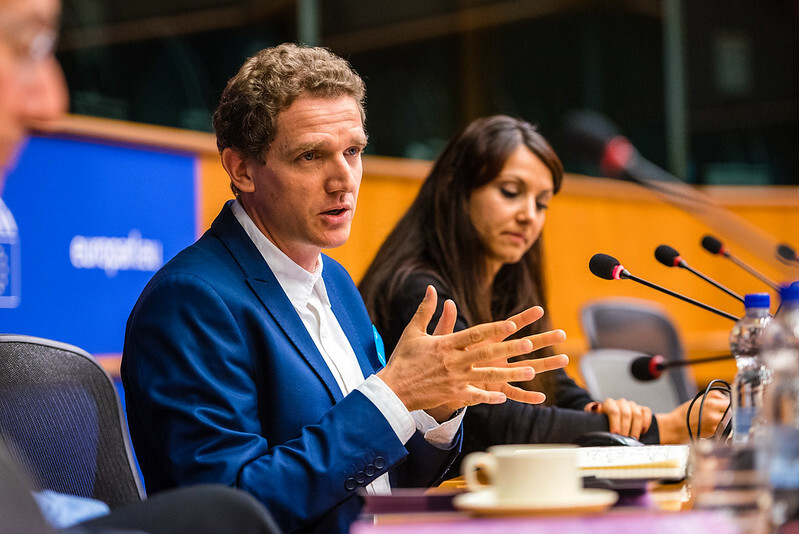 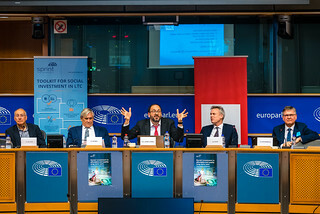 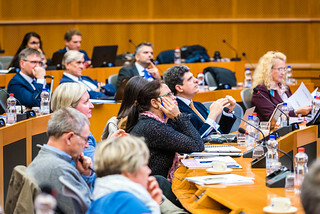 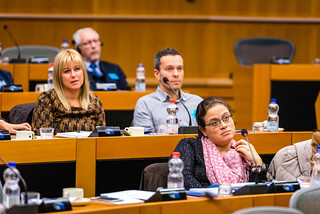 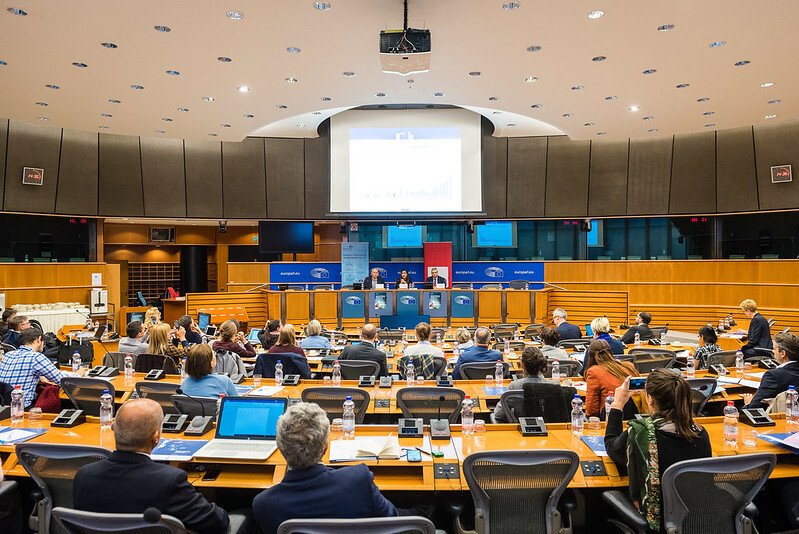 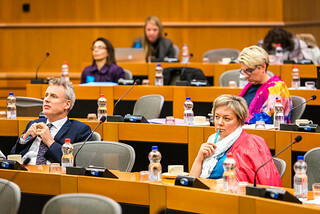 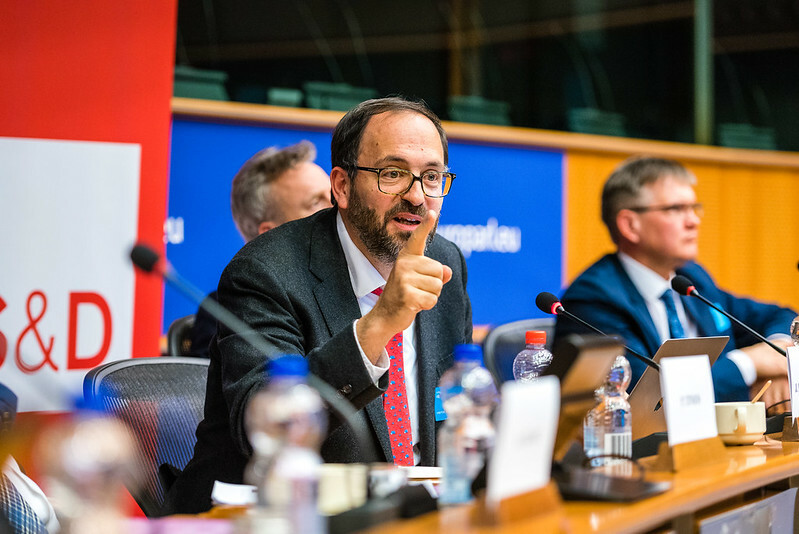 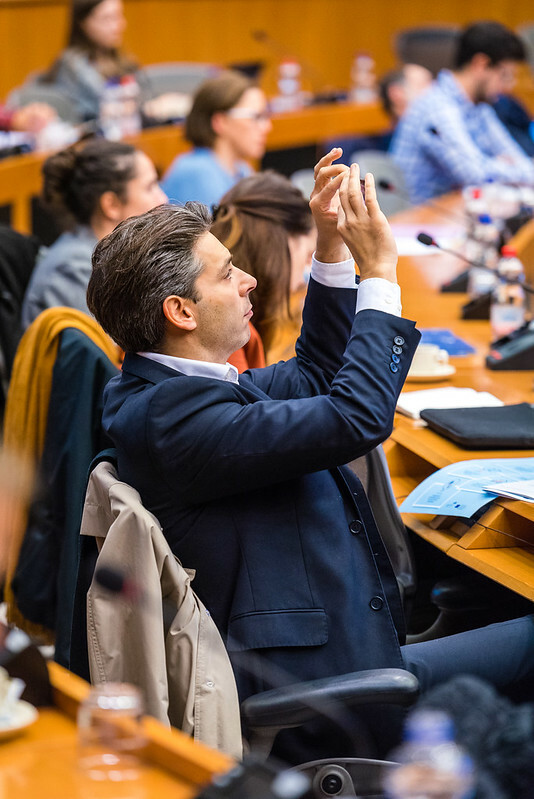 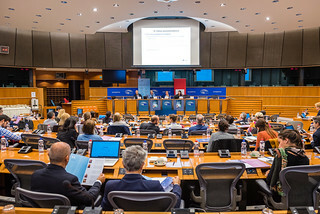 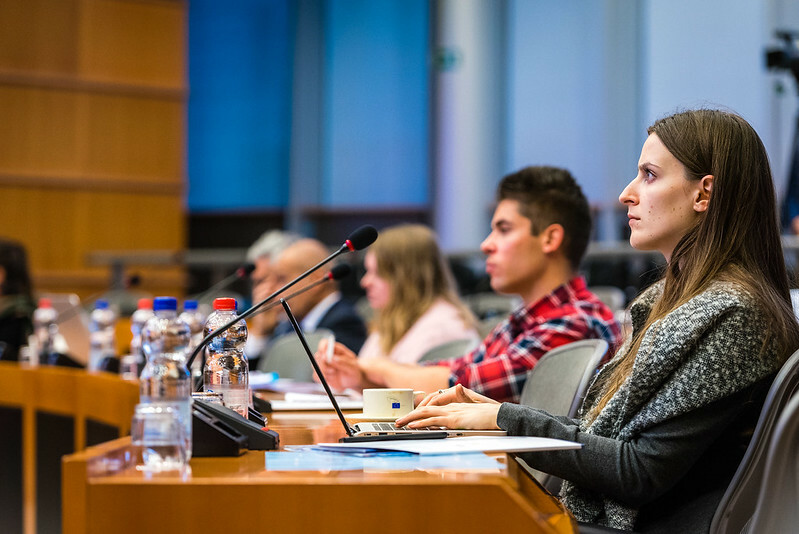 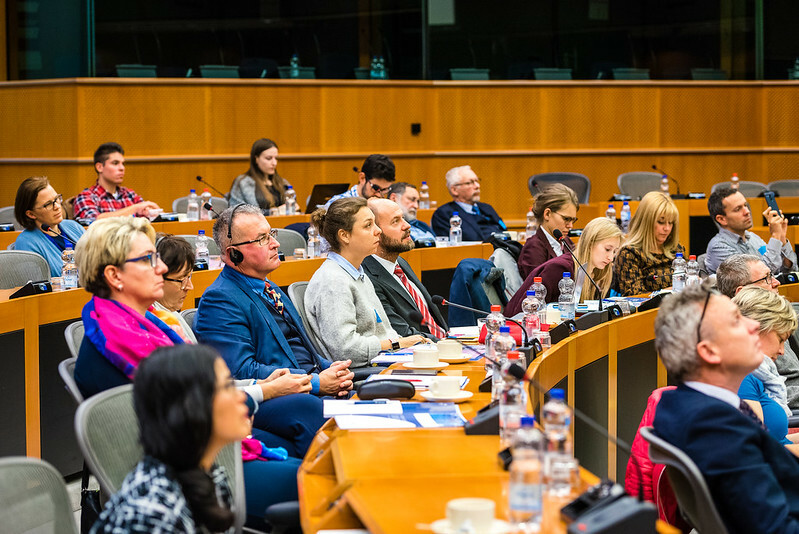 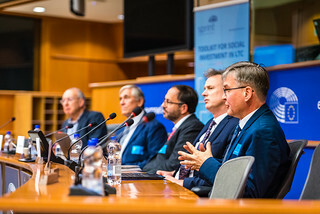 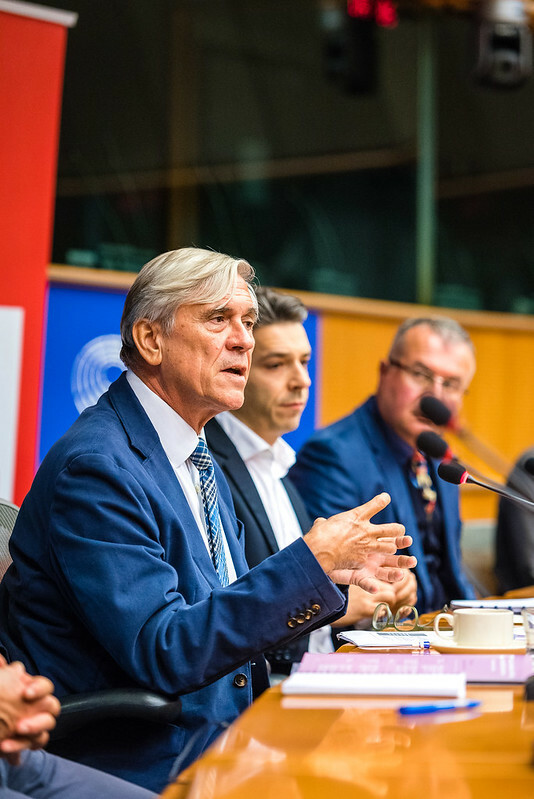 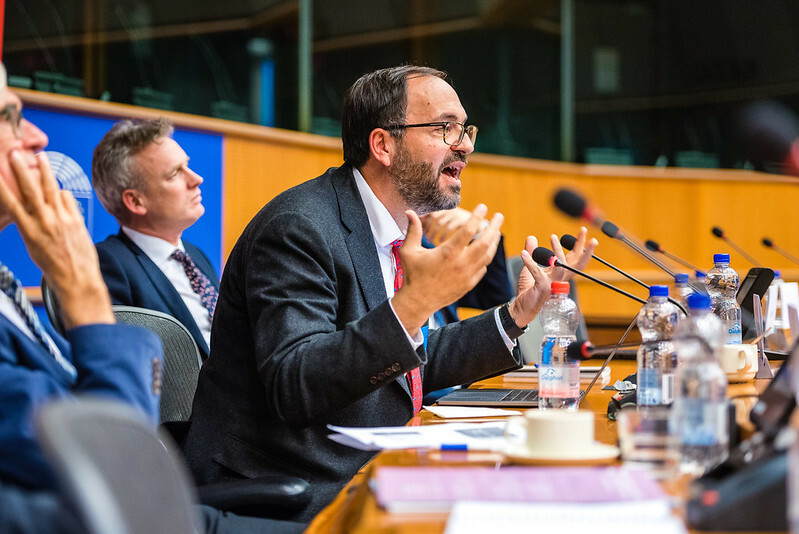 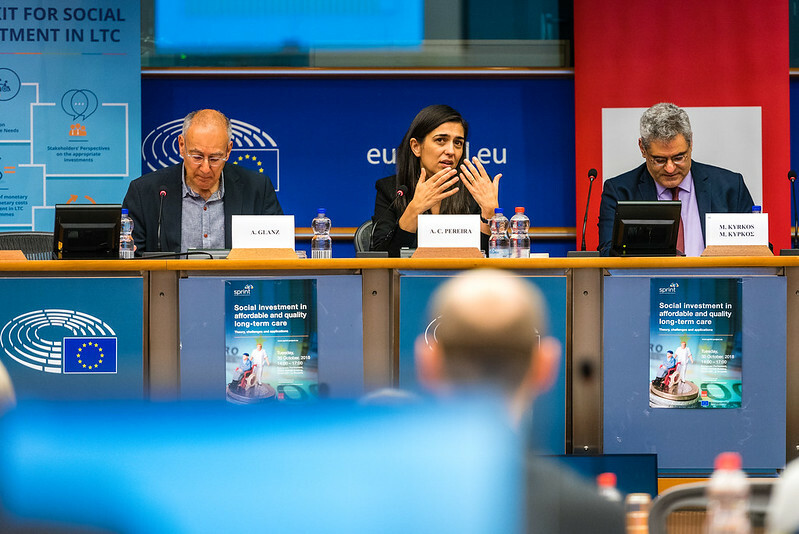 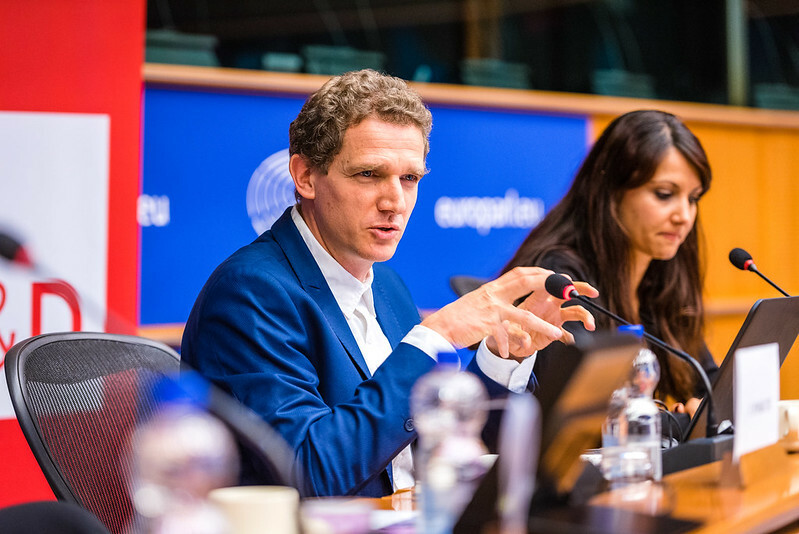 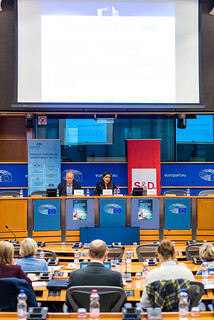 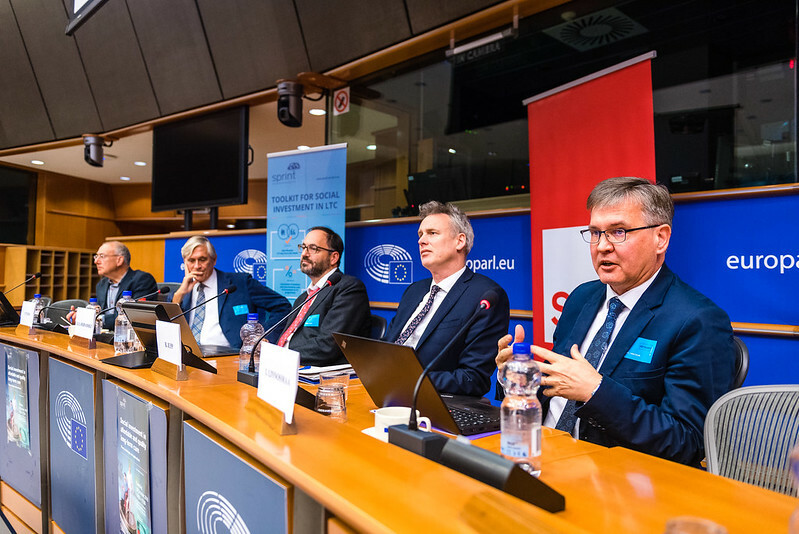 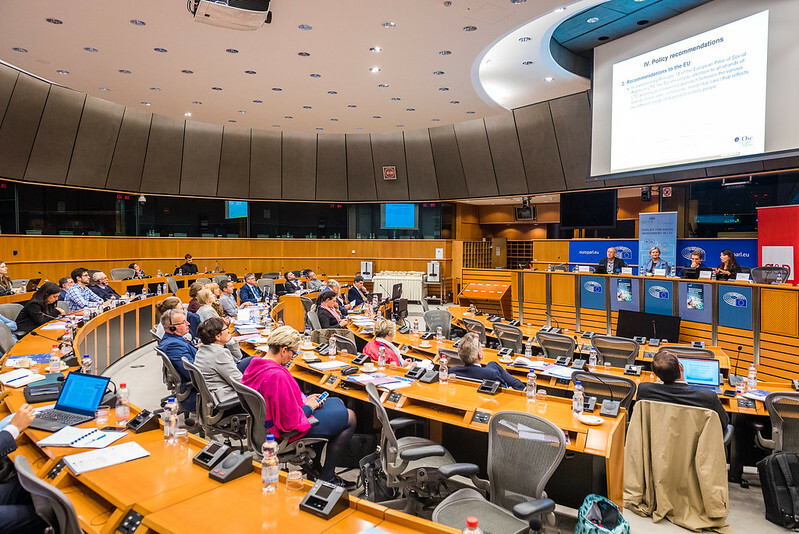 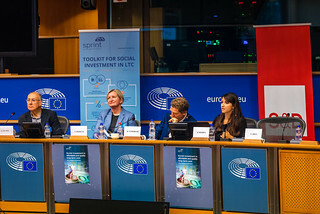 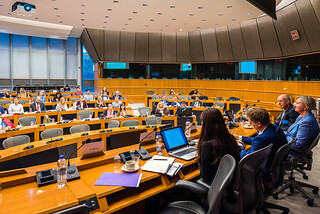 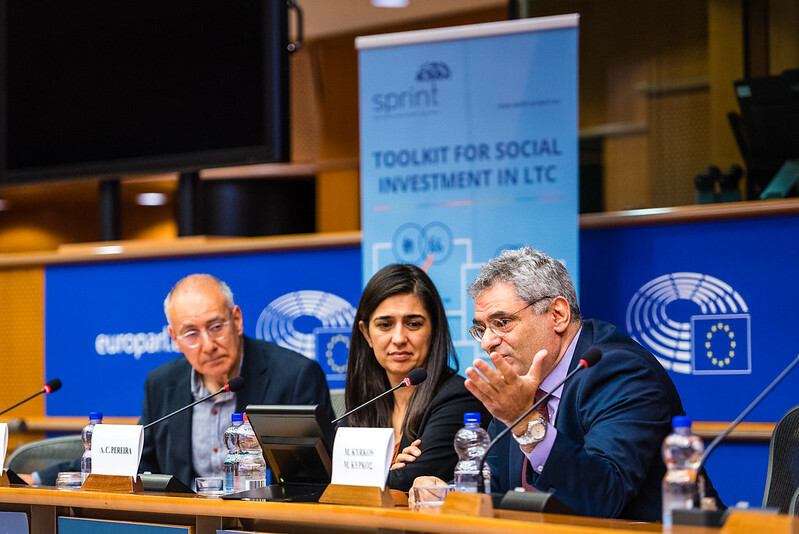 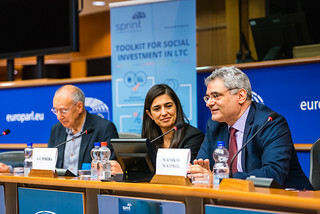 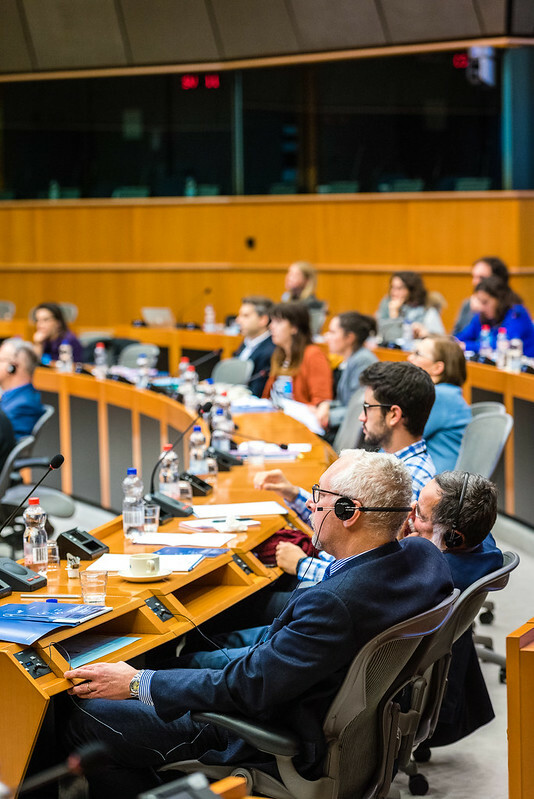 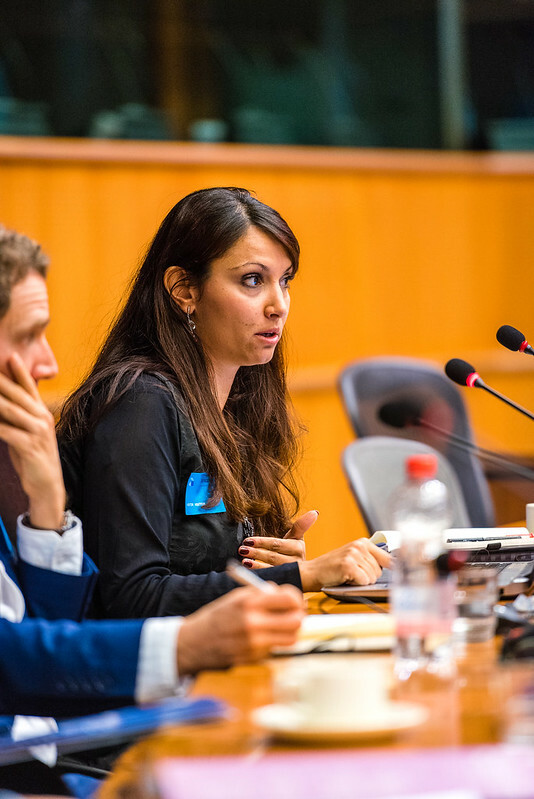 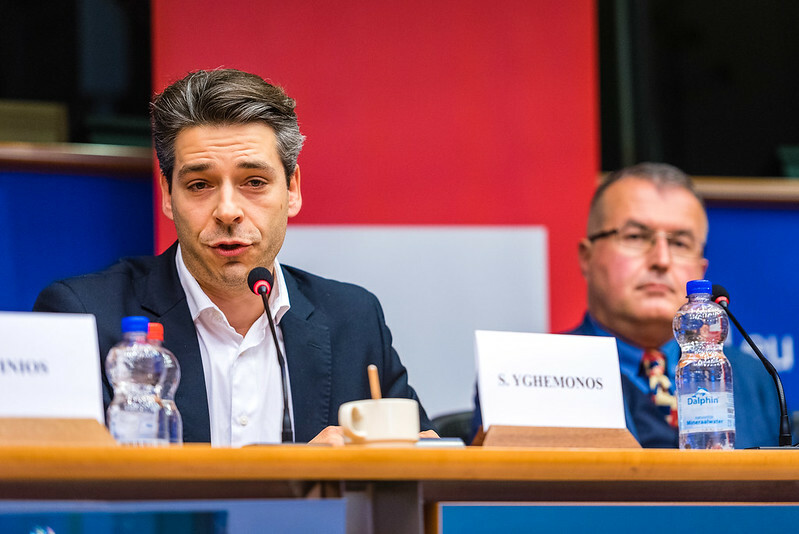 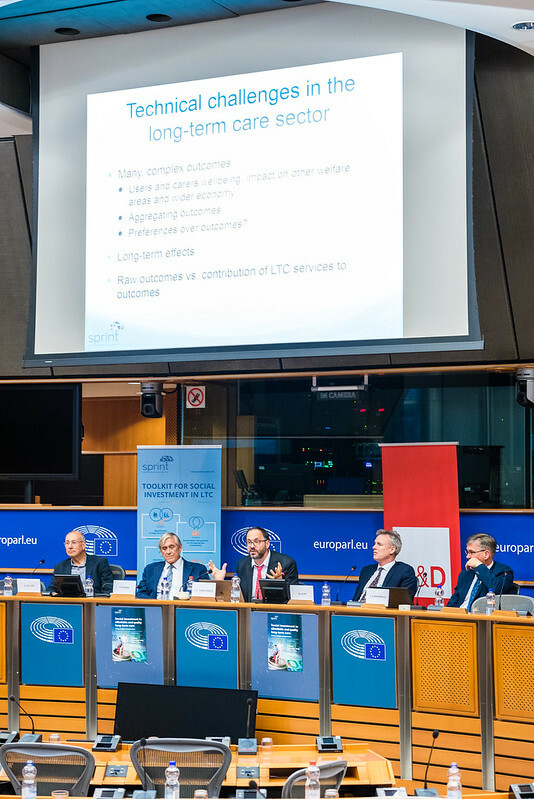 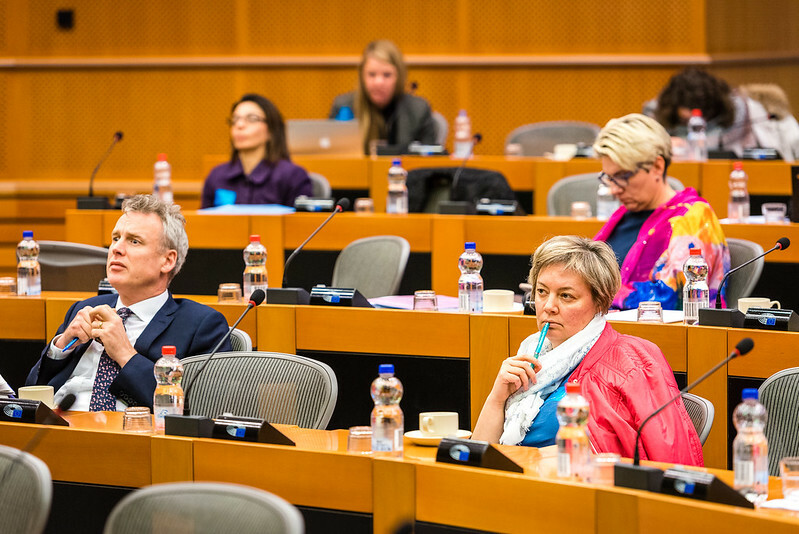 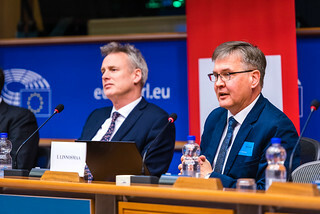 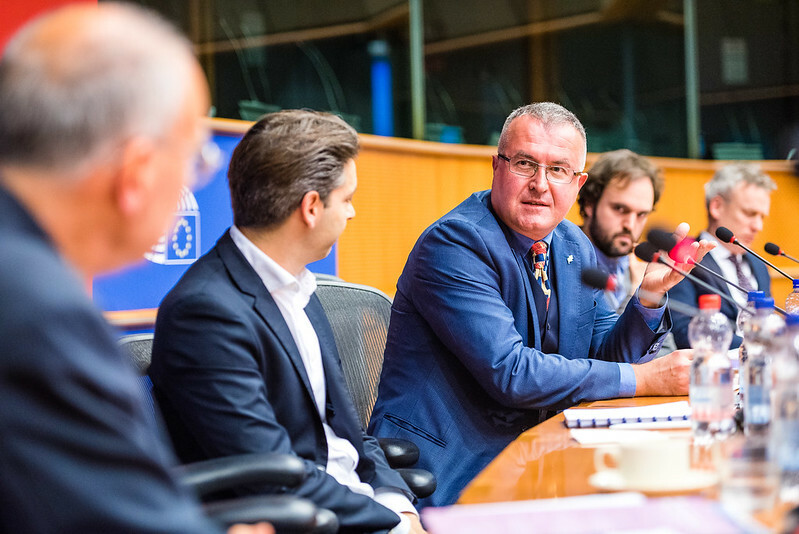 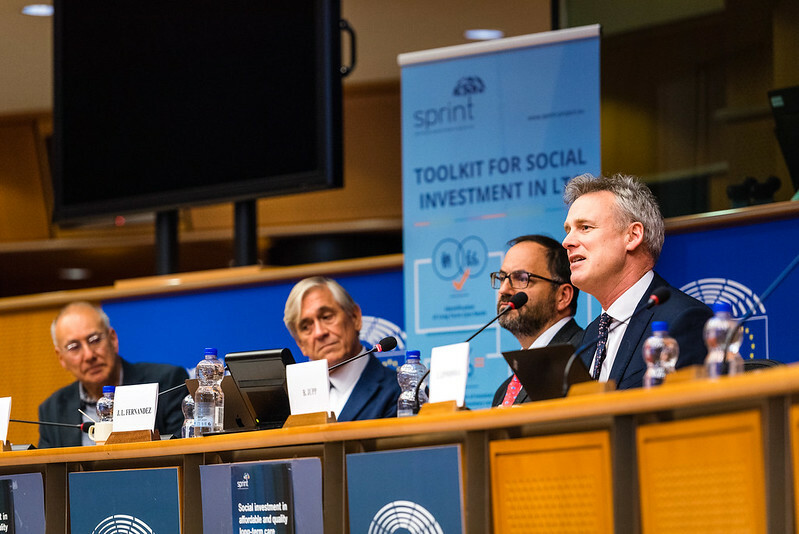 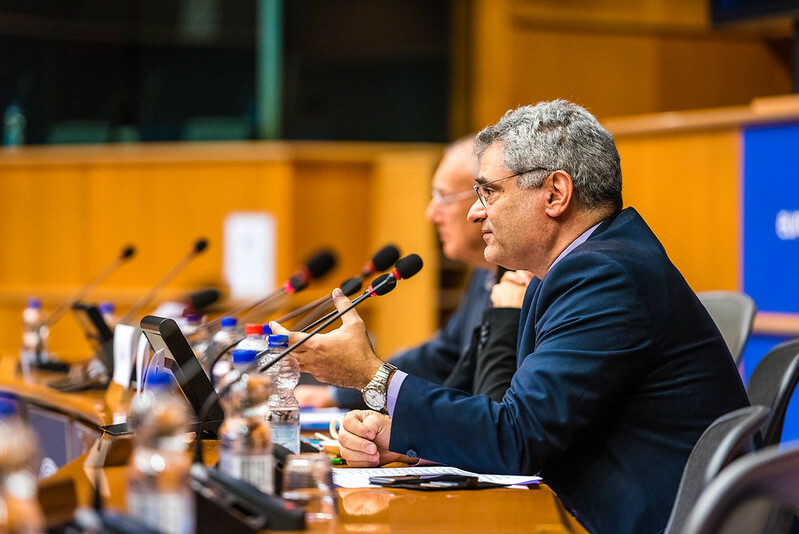 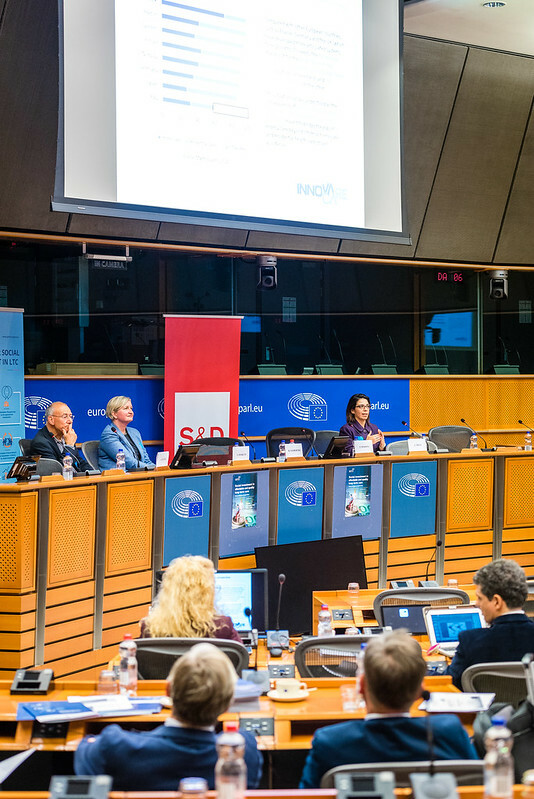 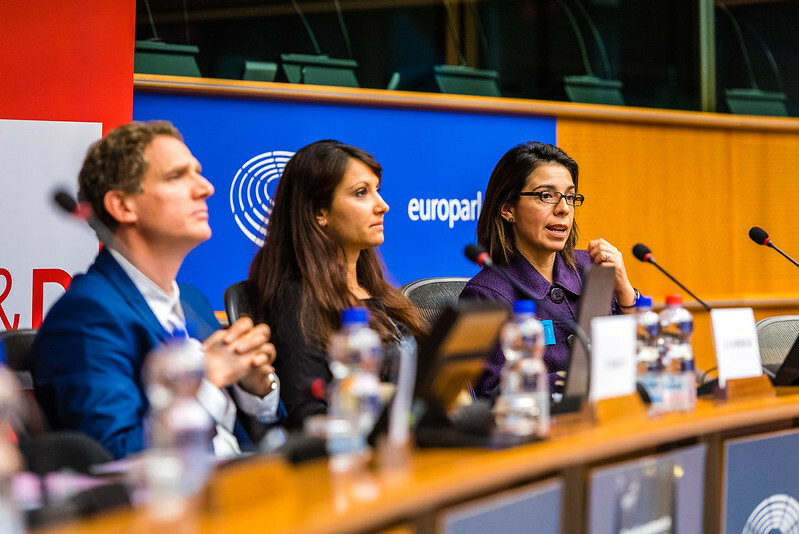 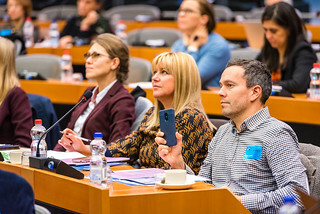 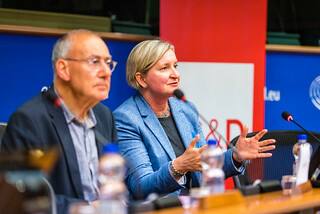 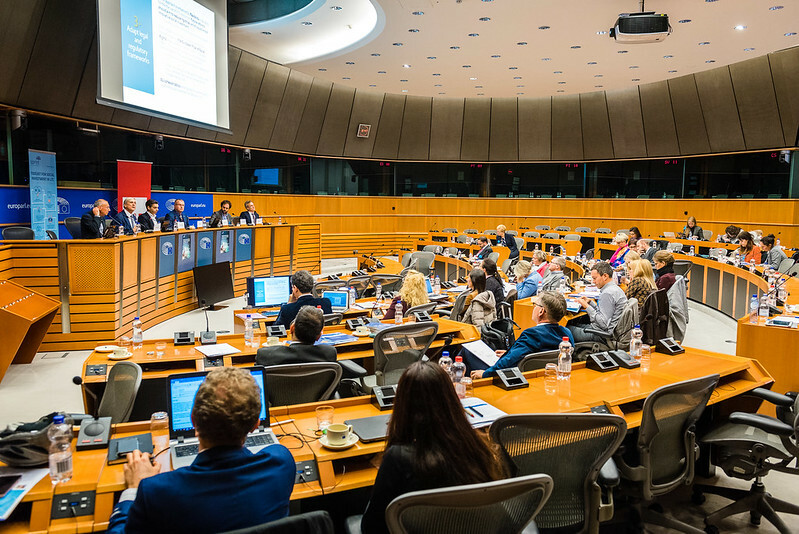 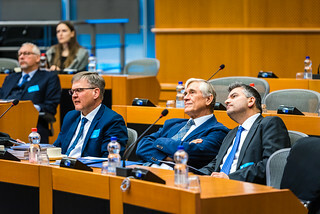 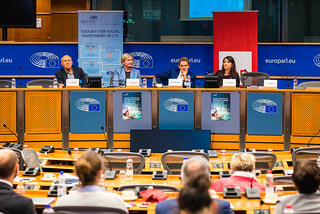 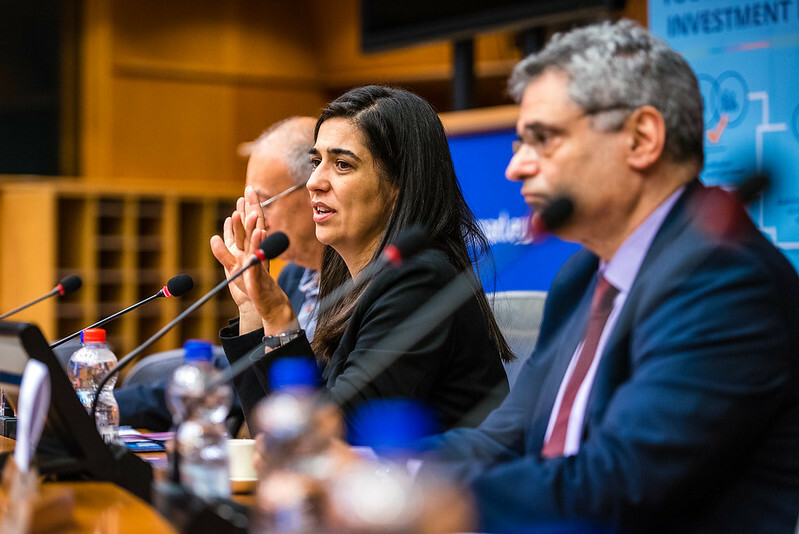 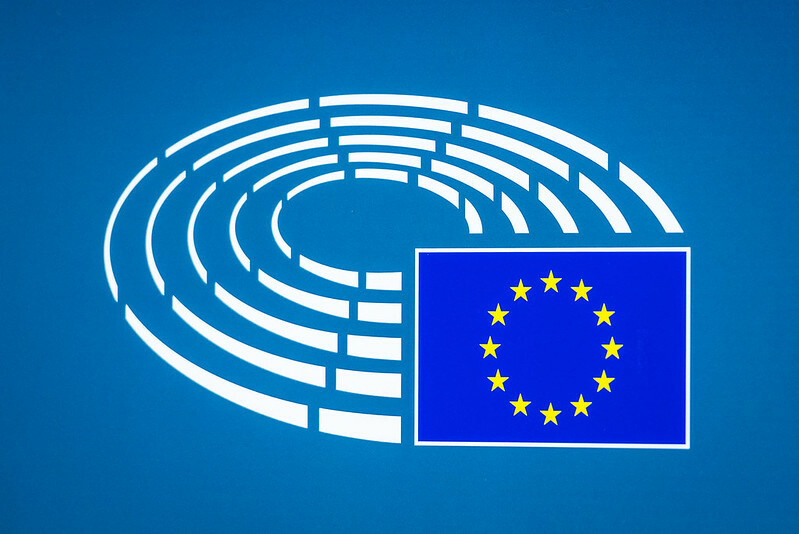 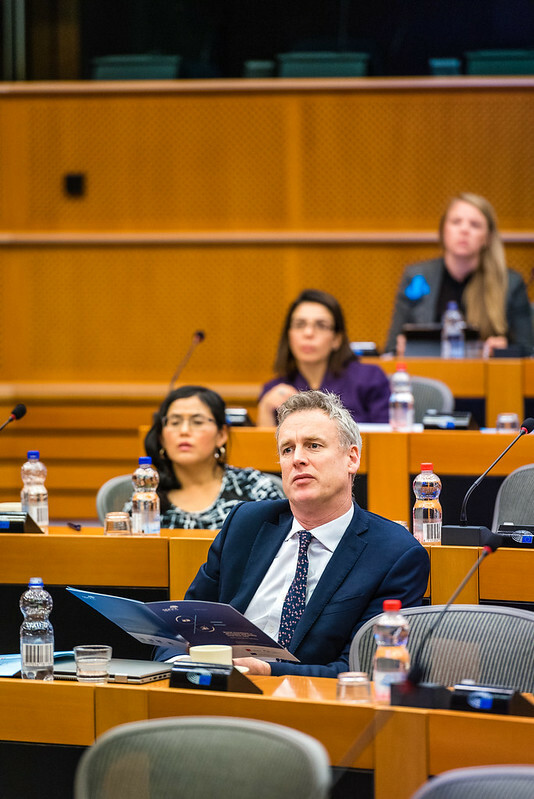 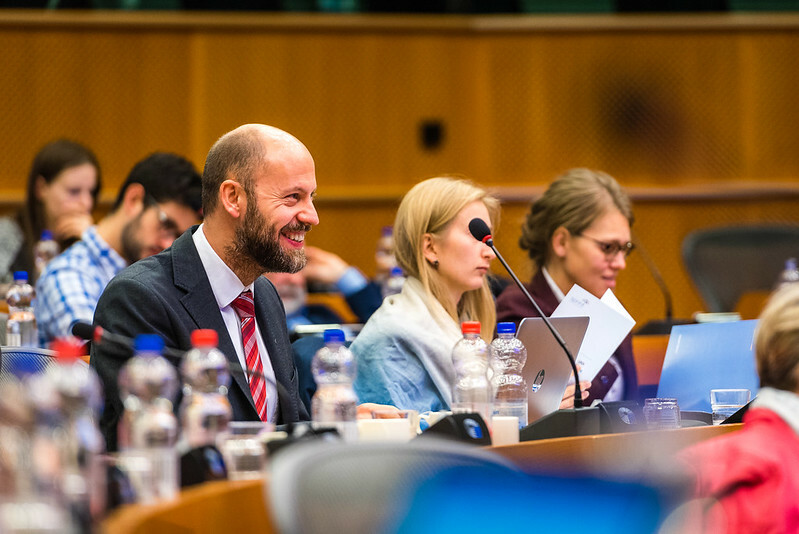 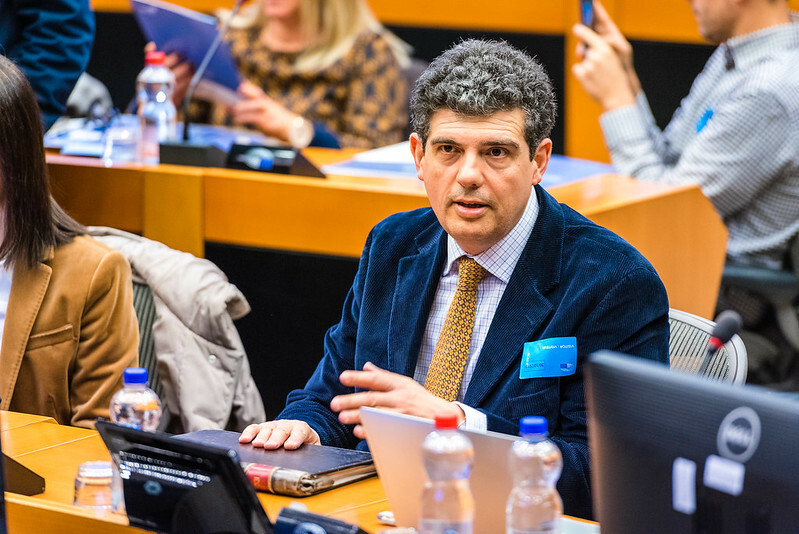 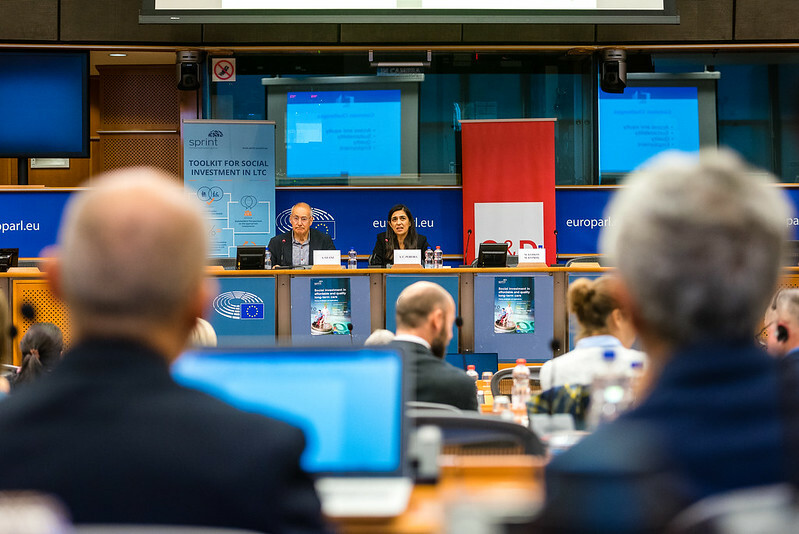 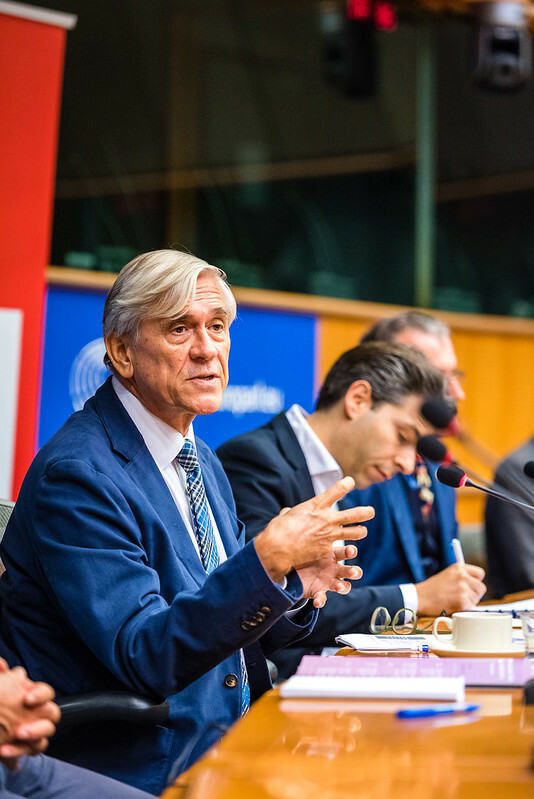 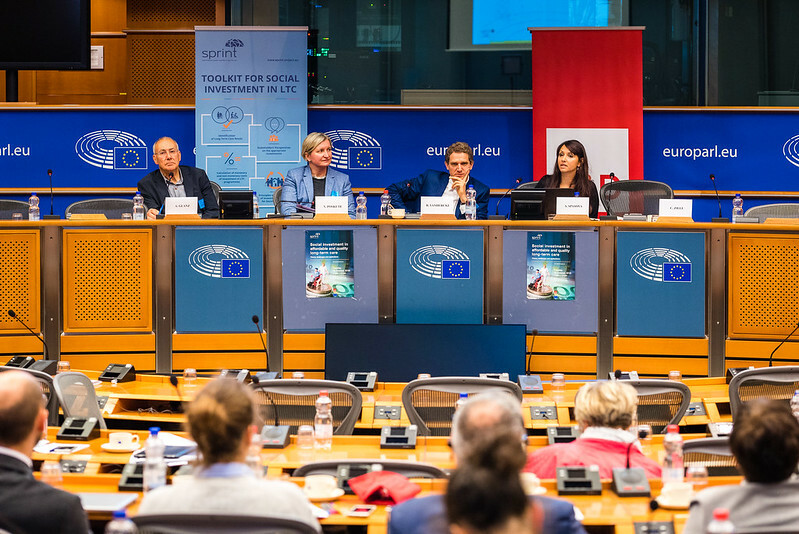 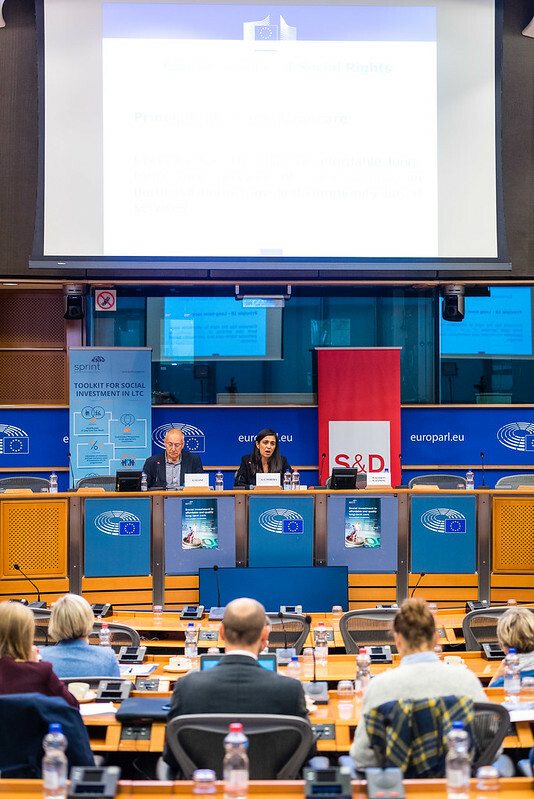 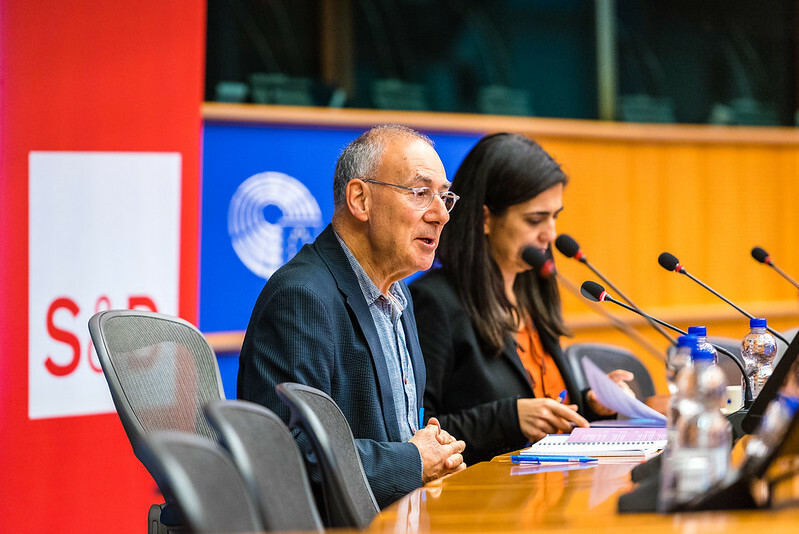 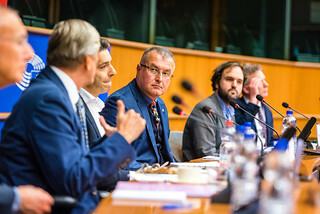 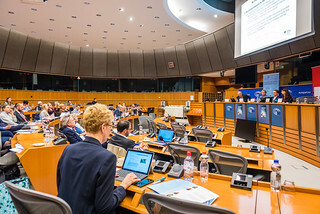 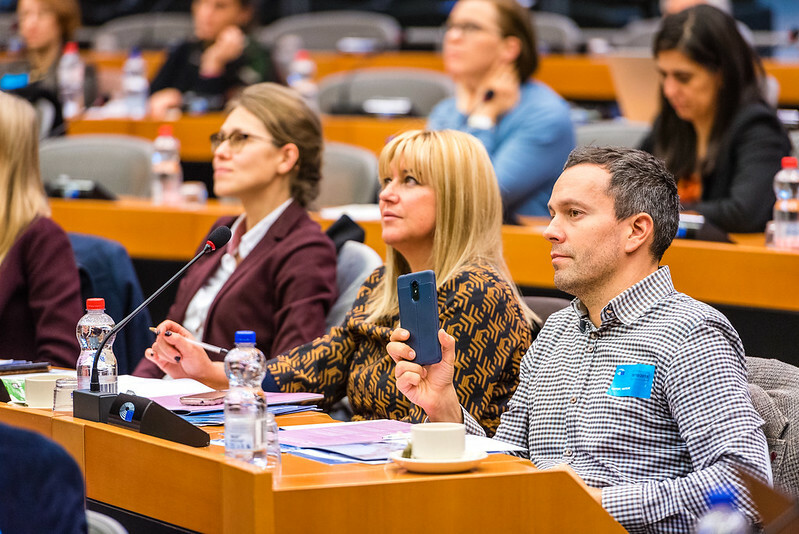 Theory, challenges and applications” took place on the 30th of October 2018, at the European Parliament, in Brussels. 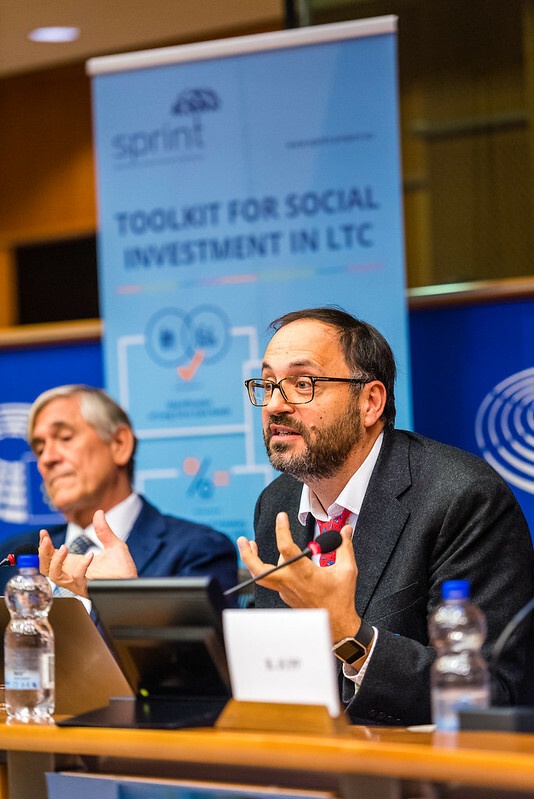 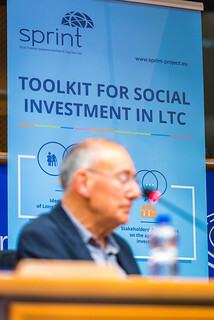 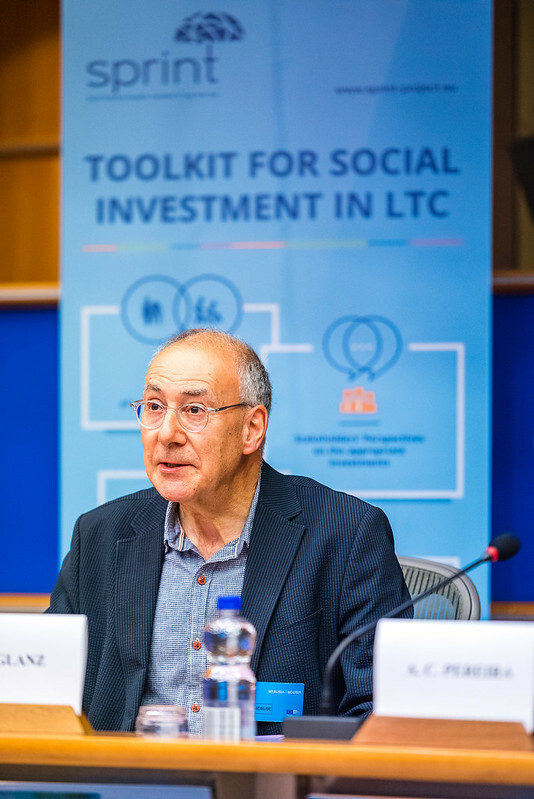 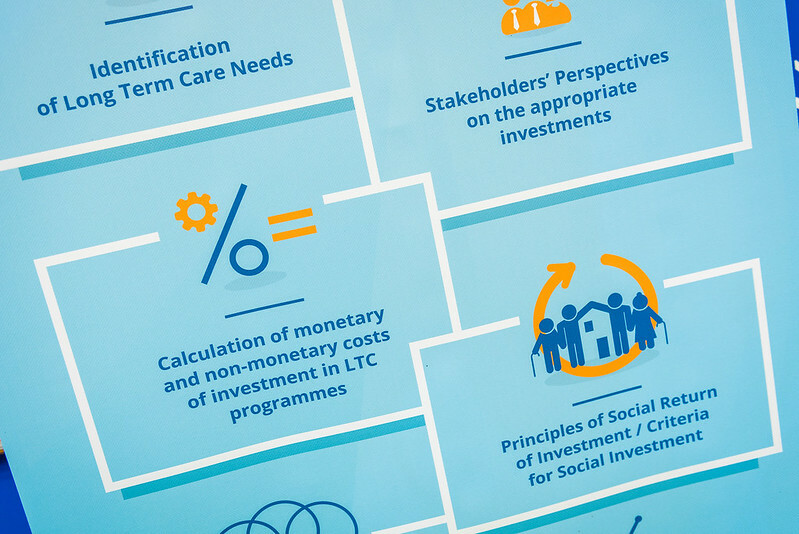 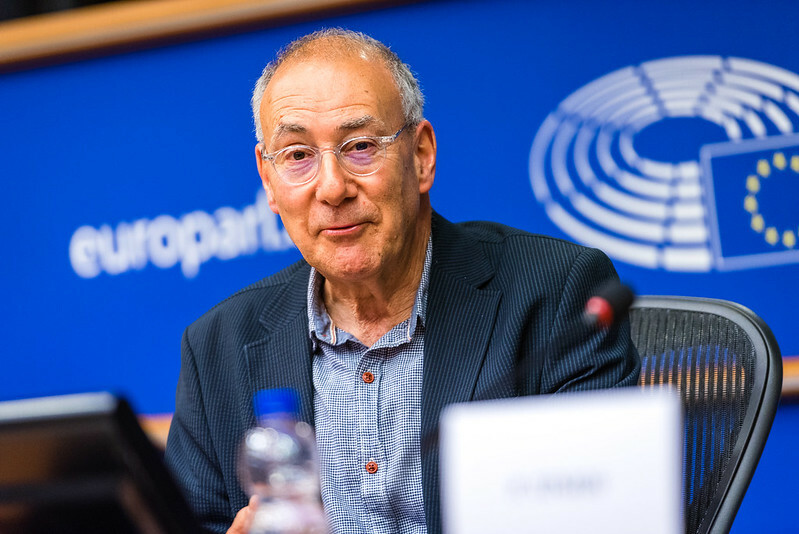 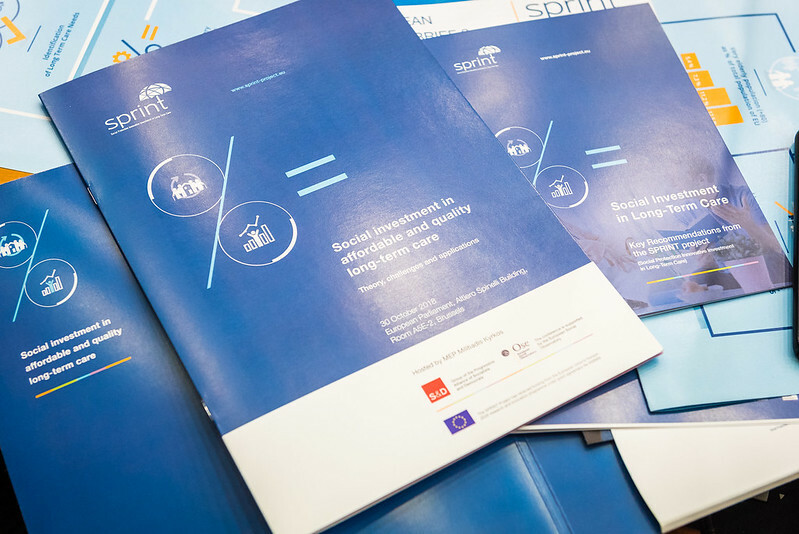 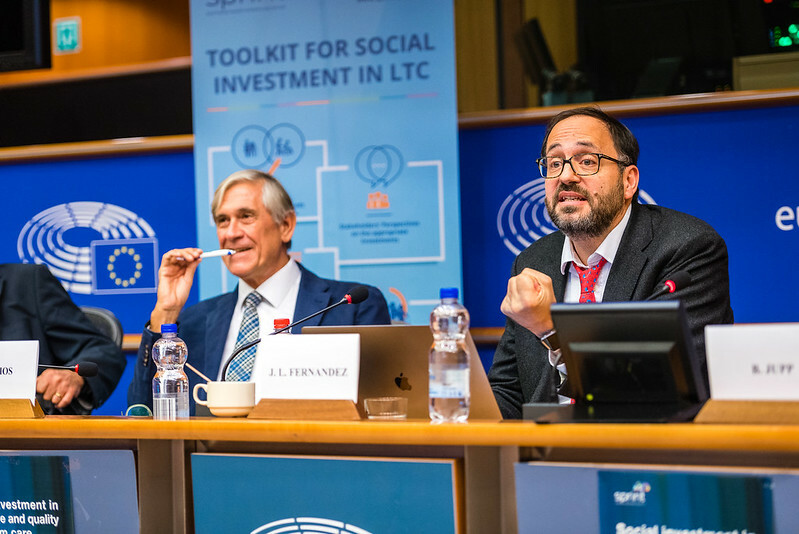 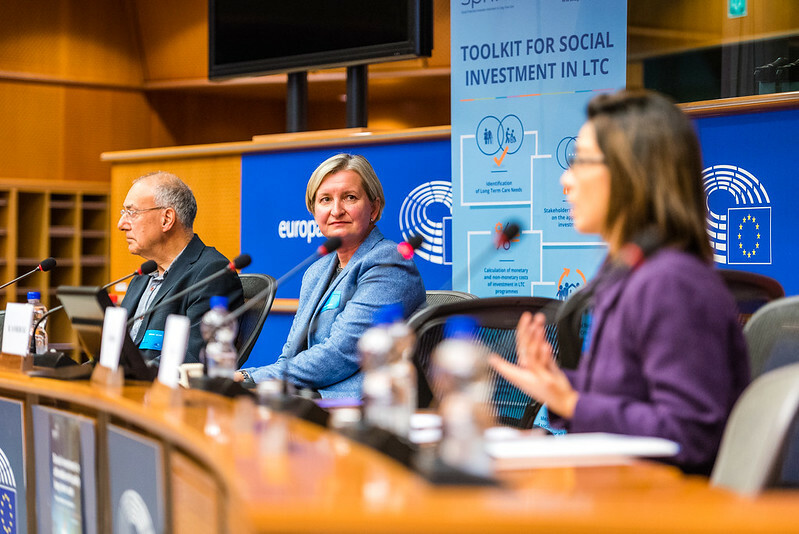 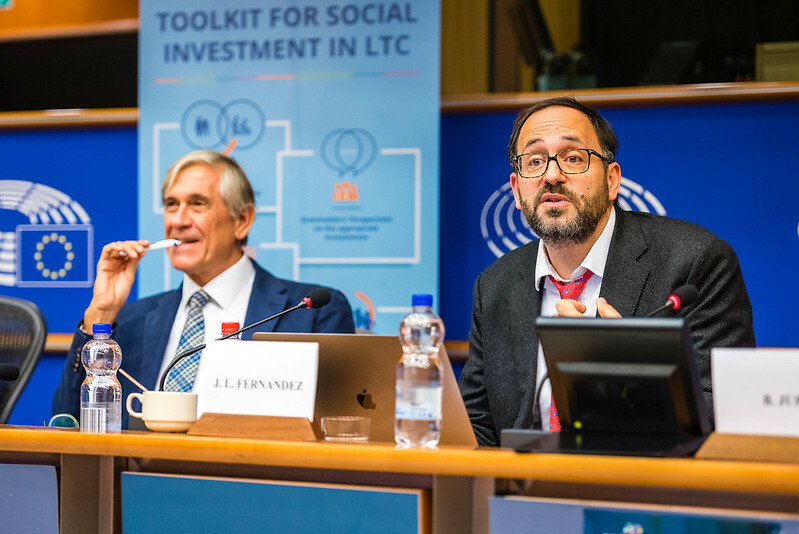 The EU faces a major challenge: How can it deliver the new social right to affordable long-term care of good quality as its working-age population shrinks and the share of those of retirement age expands? 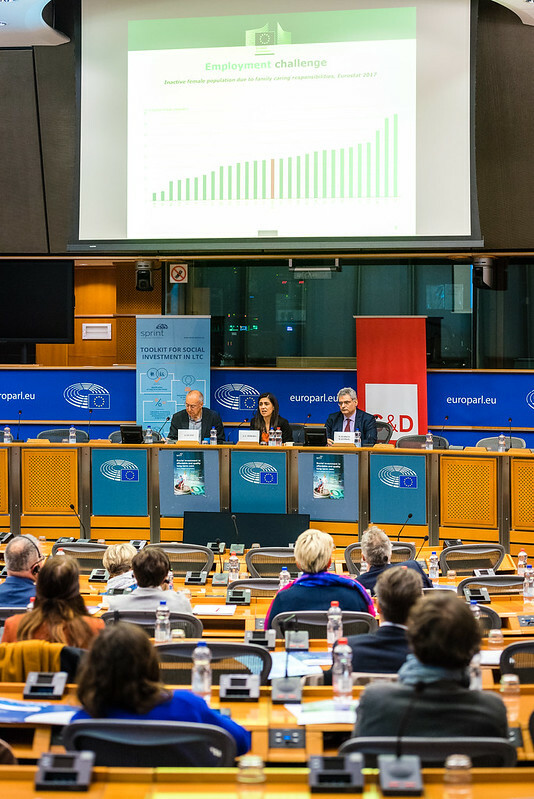 Long-term care is a long-term issue: Eurostat projects that by 2080 those aged 65 and older will account for 29.1% of the population (compared with 19.2% now) and the share of those aged 80 and older will more than double (from 5.4% to 12.7%). 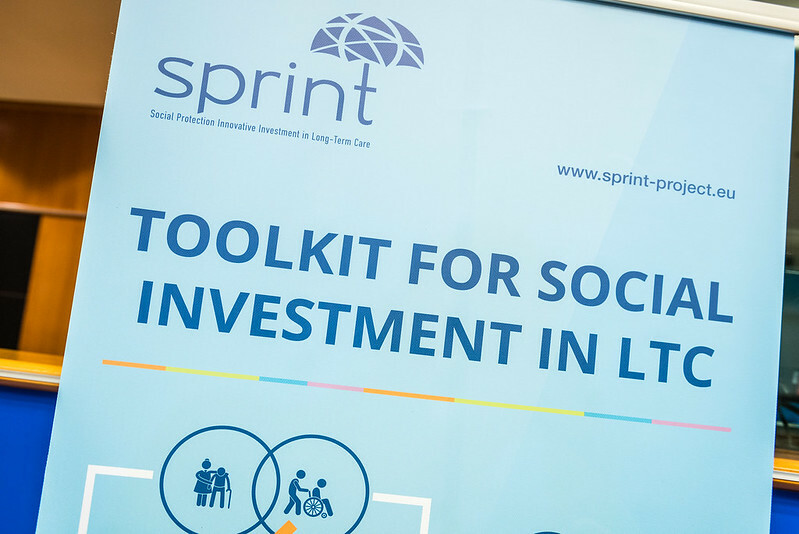 Social investment has been a strategic policy response to new social risks. What does this approach have to offer for tackling this challenge? 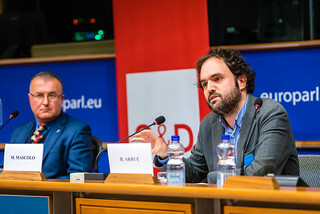 From 2004 to 2014 he was assistant at the University’s Training Program for Thrace’s Muslim Children on computer supported education and the use of games in the educational process. 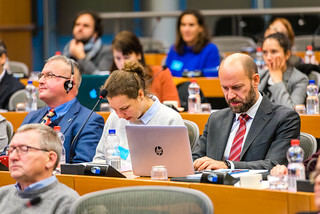 From 2011-2014, he was scientific associate for a Member of the European Parliament. 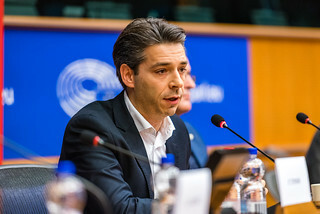 On 2014, he was elected Member of the European Parliament with the “To Potami” party. 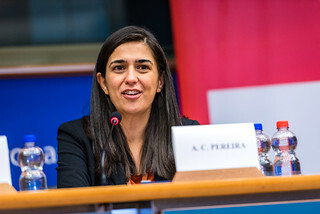 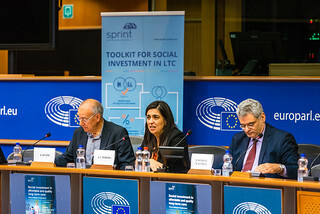 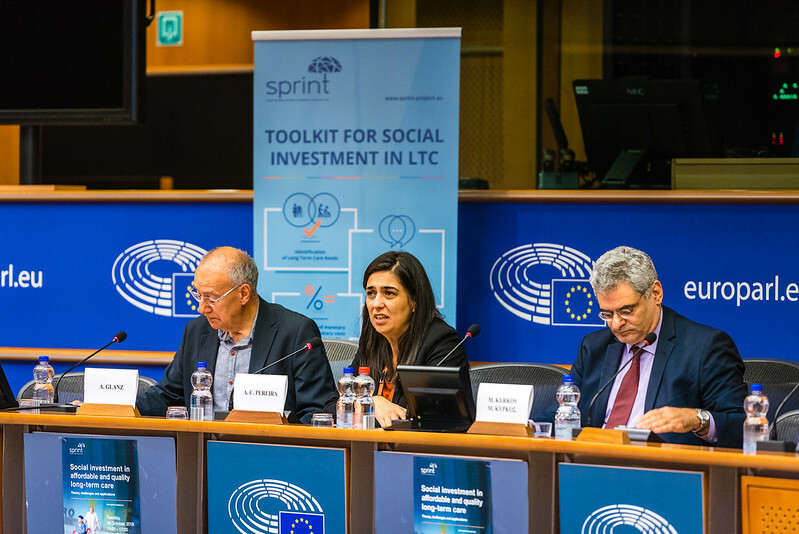 Ana Carla Pereira is Head of Unit for “Modernisation of social protection systems” in Directorate General Employment, Social Affairs and Inclusion at the European Commission. 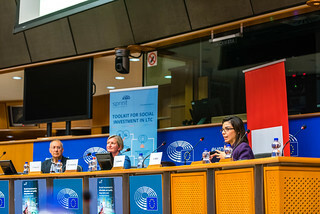 She is responsible for social protection policies related to access and adequacy of pensions, long-term care and health. She is currently coordinating the work around the initiative “access to social protection”, one of the concrete deliverables of the European Pillar of Social Rights. Prior to this, she was responsible for skills and qualifications policies, including the New Skills Agenda for Europe. She also worked for more than ten years on the implementation of European Employment Strategy and several years in the private sector as a business consultant specialized in human performance. 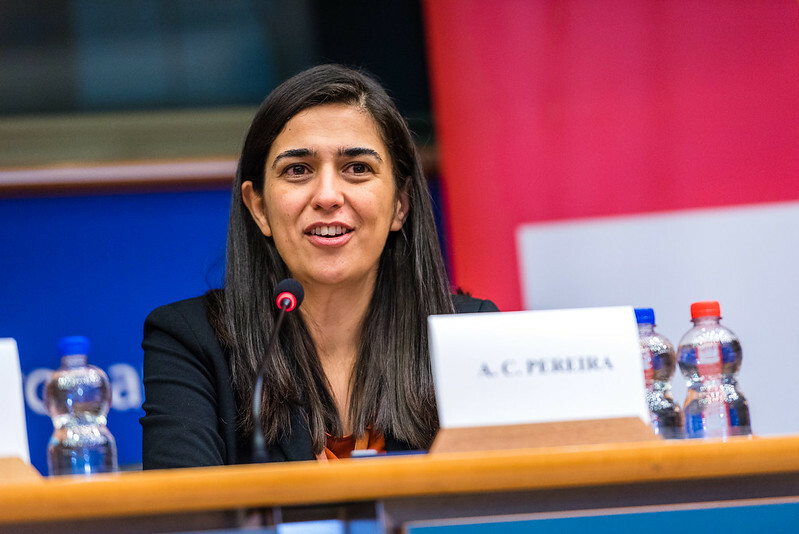 She graduated from Economics at University of Coimbra (PT) and holds an MA in European Human Resources Studies from the College of Europe (BE). 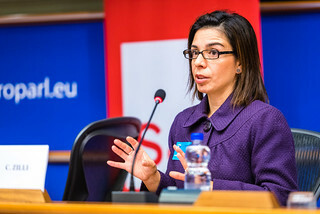 Her mother tongue is Portuguese and she is fluent in English, French and Italian. 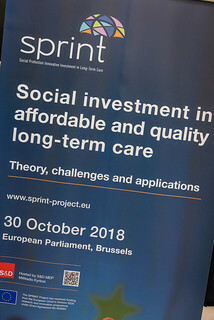 Dr Alan Glanz is the project manager of the SPRINT Project. 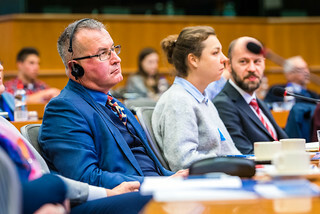 He has worked for over 21 years as Senior Research Liaison Officer within the Research and Development Directorate at the UK Department of Health (DH), project managing a large portfolio of DH-funded research contracts with universities and academics and acting as coordinator between external research teams and internal customers. Prior to this, he held a number of positions in the health field (Senior Research Officer/Operations Manager, Health Education Authority; Lecturer, Institute of Psychiatry, University of London; Evaluation Officer, Turning Point (Voluntary Sector); Research Officer, Birkbeck College, University of London). Bart Vanhercke, PhD in Social Science (University of Amsterdam, 2016), has been the OSE Director since 2010. 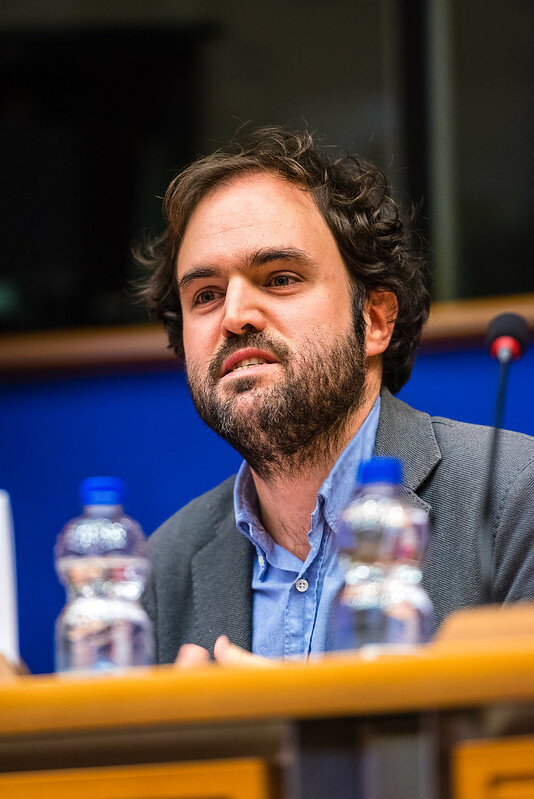 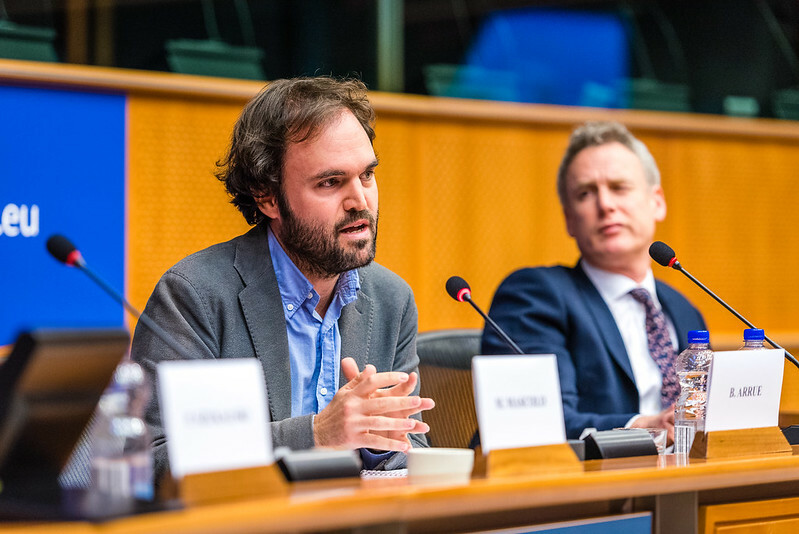 His current research focuses on the social dimension of the EU’s economic governance and the European Pillar of Social Rights, topics on which he also works as an Associate Academic Staff member at the Research Institute for Work and Society (HIVA), KULeuven. 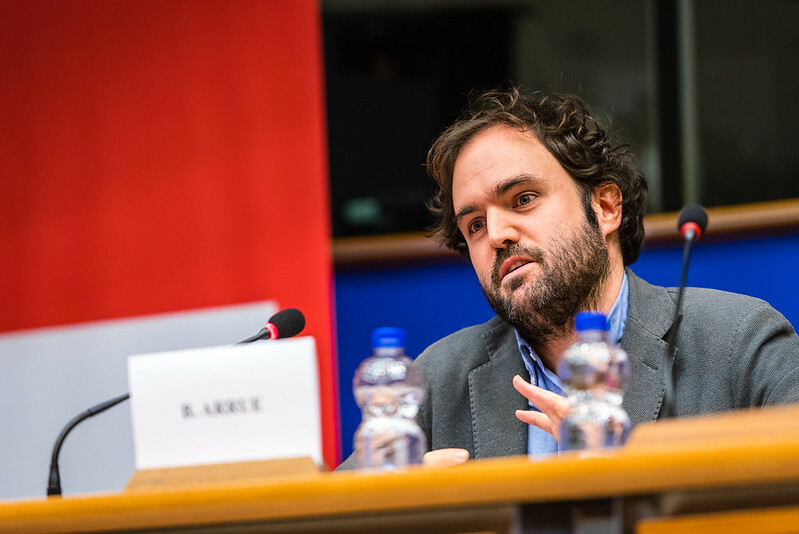 He became Policy Fellow at the Institute for the Study of Labour (Berlin) in 2015. He has co-authored several studies for the European Social Policy Network (ESPN), for which he is Social Protection leader. His earlier research focused on the Europeanization of social policies. 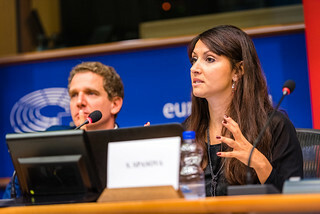 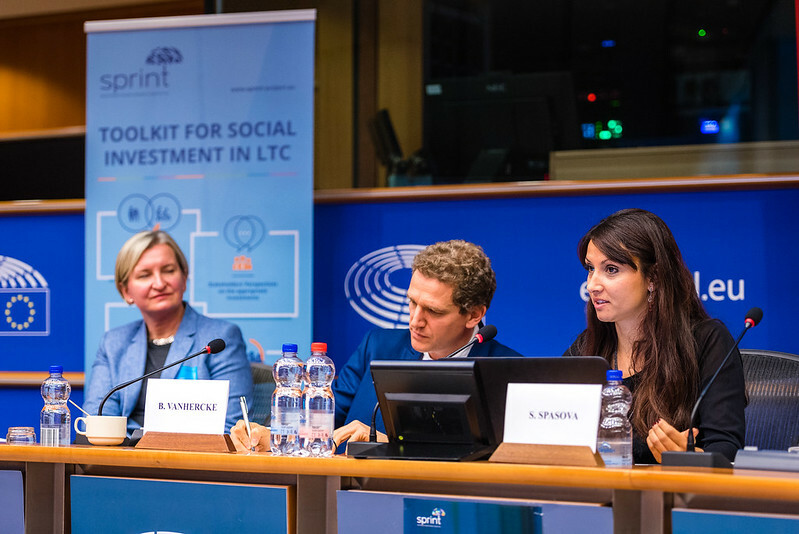 Slavina Spasova, PhD in Political Science, has been a researcher in the area of social protection at the OSE since January 2016, and is a Research Associate at the Centre d’étude de la vie politique (CEVIPOL), Université Libre de Bruxelles. 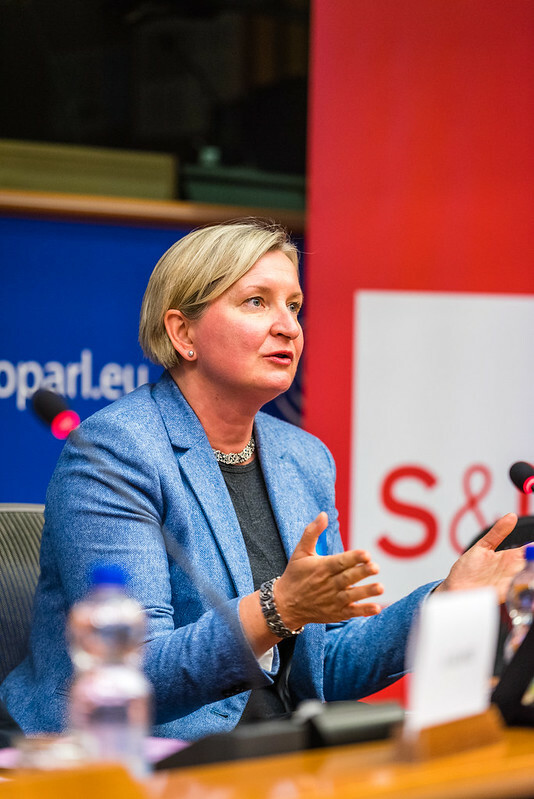 Her research agenda focuses on various social protection and employment related subjects, including systemic pension reforms in Central and Eastern European countries, labour market reforms and social dialogue. 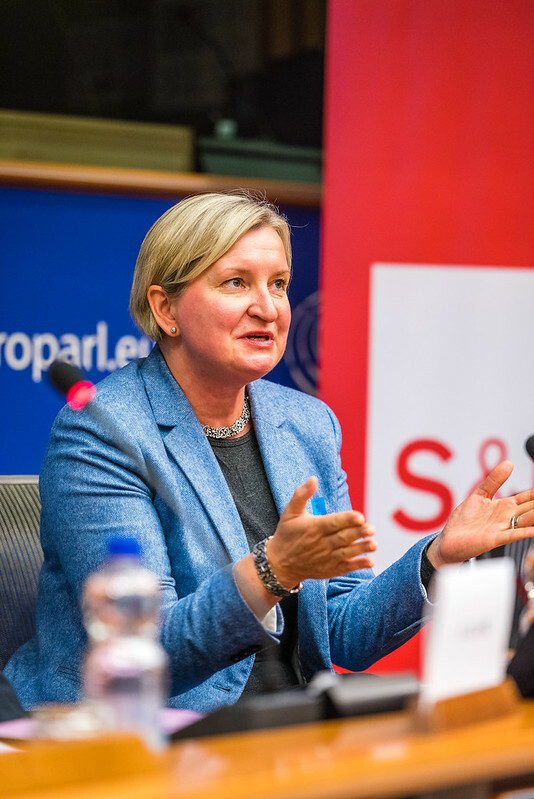 She worked on a variety of issues – including, work-life balance, long-term care, social protection for non-standard workers and the self-employed etc. 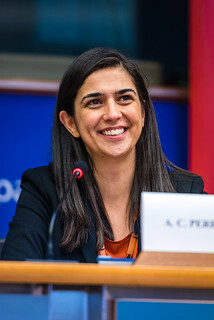 She was the lead researcher for the European Social Policy Network (ESPN) input to the European Commission’s 2018 Pensions Adequacy Report. Virginija Poškutė is an economist and social policy analyst currently working for ISM University of Management and Economics in Vilnius, Lithuania. Virginija has extensive international job experience (UNDP/Lithuania; International Master’s Programme “European Social Policy Analysis” by CEPS/INSTEAD, Luxembourg and Leuven University, Belgium). Has participated in various international projects for the World Bank, UN, UNDP, UNICEF, European Commission) as well as national projects on economic and social issues for the Ministry of Social Security and Labour, Ministry of Environment, Ministry of Economics and various NGOs. 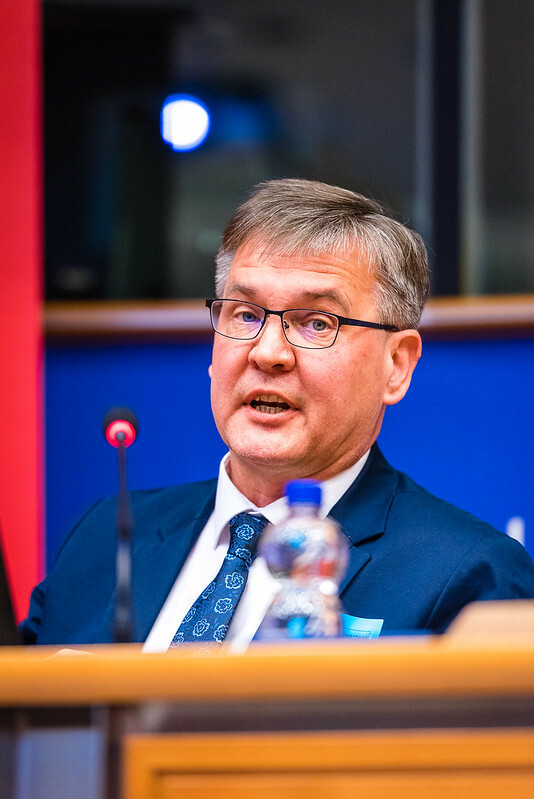 Has extensive teaching experience in Lithuania and abroad (USA, Germany, France, Belgium, Luxembourg, Poland, The Netherlands, Estonia, etc.). Claudia Zilli works as a Postdoctoral Researcher at the University of Milan for the project Innovacare. 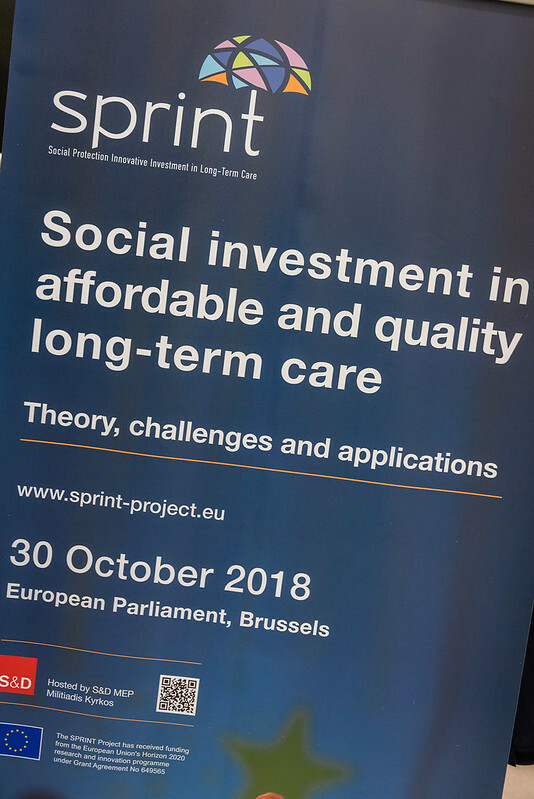 Enhancing Social Innovation in Elderly Care: values, practices and policies, a research dedicated to the study of the challenges related to the aging of Italian society and to the identification of innovative Long Term Care solutions. Within this project, Claudia mainly focuses on the link between LTC and international migration from a sociological perspective, analysing the needs, expectations and difficulties of what is called “The Care Triangle”: care (foreign) workers, care managers (elders’ relatives) and care receivers (not self-sufficient elders). 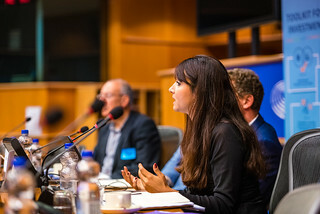 In 2015 she obtained the Degree of Doctor of Philosophy (PhD) in Sociology from the University of Milan in Italy after discussing a thesis on the negotiation practices of intercultural/international mixed marriages and “new world families”; whereas in 2008 she successfully concluded a two years Research Master (MSc) from the University of Utrecht in the Netherlands, specializing in applied social research methods on topics of Migration, Ethnic Relations and Multiculturalism (M.E.R.M). Claudia’s research interests lie within the study of international migration and care/domestic work; intercultural negotiations within multiethnic/transnational families; and parenting/caring practices beyond borders. 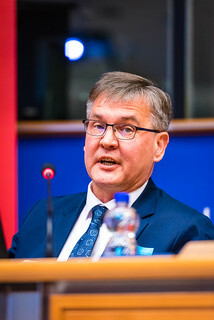 Dr. Ismo Linnosmaa, Professor in Health and Social Economics at the University of Eastern Finland and Research professor at National Institute for Health and Welfare, Finland. He holds a PhD in economics from Department of Economics, State University of New York at Stony Brook, USA. 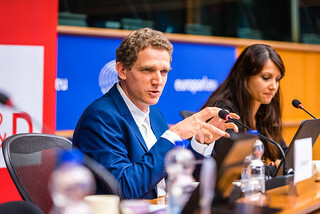 In his research activities, Linnosmaa has specialized in the economics of health and social care and pharmaceutical markets. 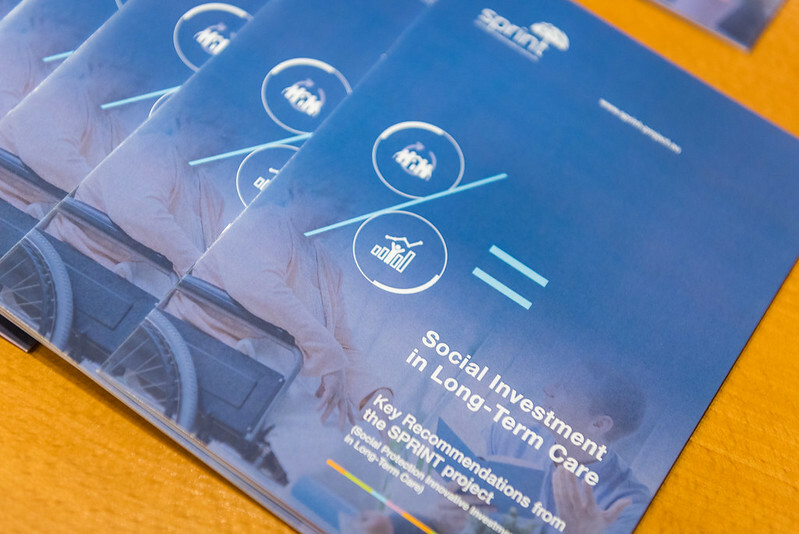 His most recent research has focused on the cost-effectiveness and quality of long-term care for elderly. 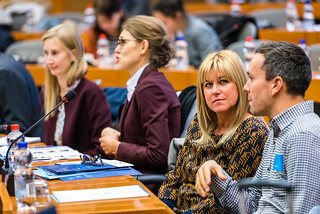 Linnosmaa has gained substantial experience managing large national and multinational research projects in health and social economics and pharmaceutical markets. 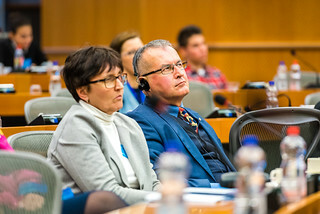 He has also participated in appraisals on the economic effects of law reforms in health and social care in Finland. Ben Jupp is a Director at Social Finance. 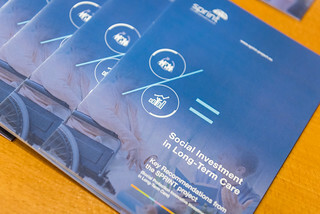 He leads Social Finance’s work on investment in health and social care, as well as supporting commissioners develop their full range of services. 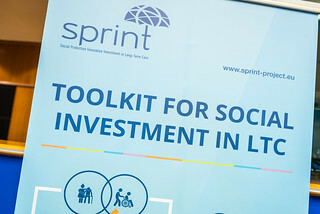 Prior to joining Social Finance in 2011, Ben was Director of Public Services Strategy at the Cabinet Office. 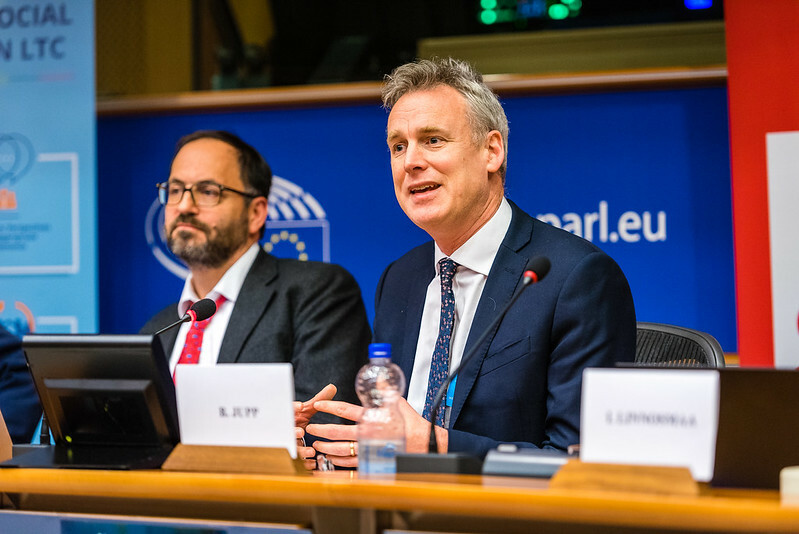 In that role Ben led work across Government to improve public services, such as through developing more personalised health and education services and shifting more transactional services on-line. 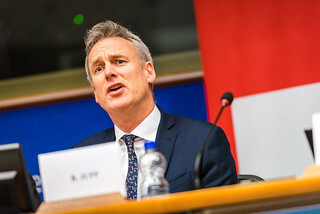 In the civil service, he has also been Director of the Office of the Third Sector in the Cabinet Office, responsible for policy and support for the voluntary and community sector and social enterprises, and head of strategy at the Home Office. Ben started off his career working in the NHS. He also led welfare and health policy at a think tank and, in a voluntary capacity, helped develop a number of community projects. 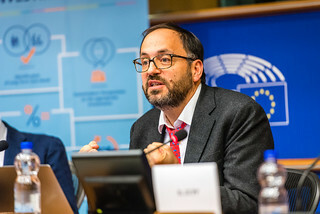 Jose Luis Fernandez is Deputy Director and Associate Professorial Research Fellow at PSSRU, London School of Economics and Political Science. A health and social care economist, he specialises in ageing-related policies, the interaction between health and social care, and the economic evaluation of health and social care services and systems. 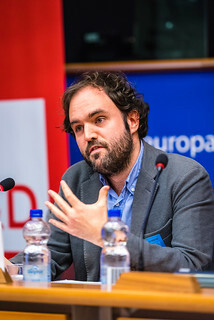 Platon Tinios, is an economist, assistant professor at the University of Piraeus. He was educated in Egypt, Greece and the UK. He studied economics at the Universities of Cambridge (MA, Ph.D) and Oxford (M.Phil). 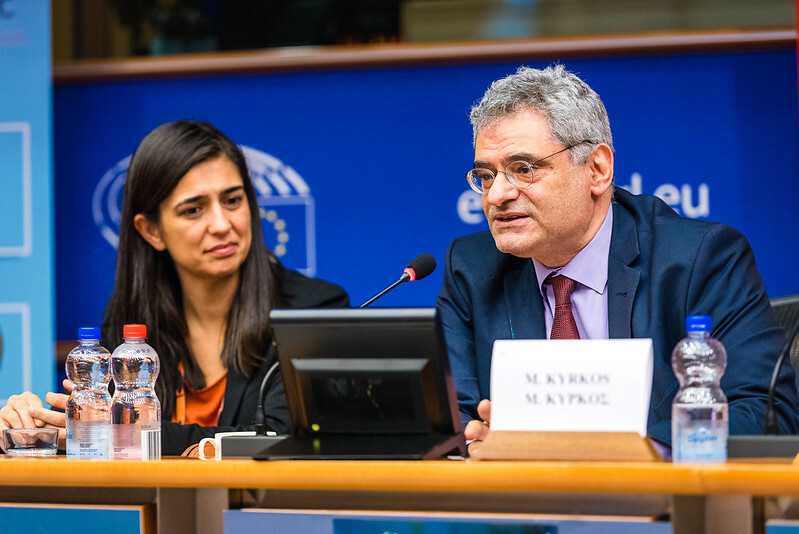 He served as Special Advisor to the Prime Minister of Greece from 1996 to 2004, specializing in the economic analysis of social policy and pensions. He was a member of the EU Social Protection Committee from 2000 to 2004. 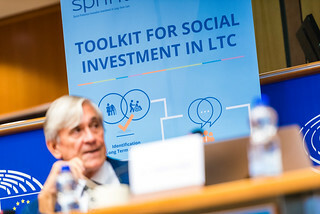 He has participated in IMF Technical Assistance missions in the areas of social expenditure and pensions. In 2015/6 he was a Visiting Senior Fellow at the London School of Economics. His research interests include pensions, ageing, social policy, gender, economics of insurance and public finance. He has written numerous books and journal articles in English and in Greek. Borja Arrue Astrain is Policy and Project Officer at AGE Platform Europe, the European network of organisations of older persons. 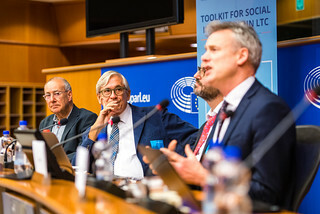 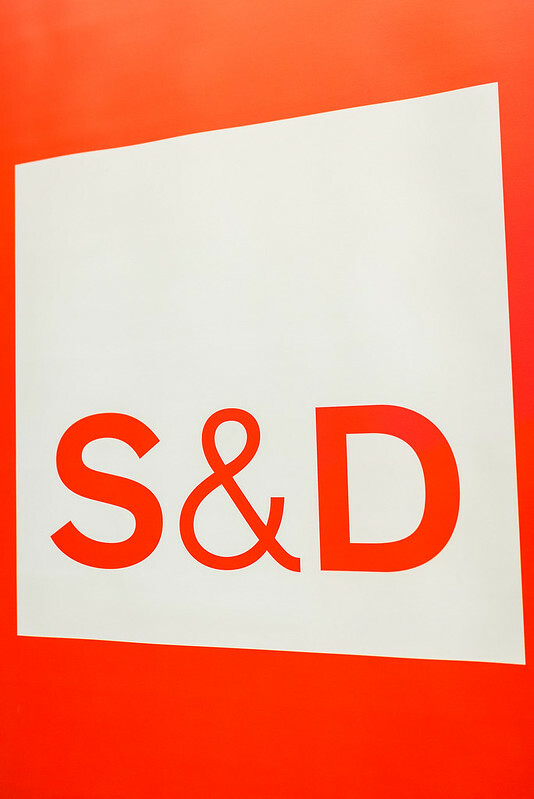 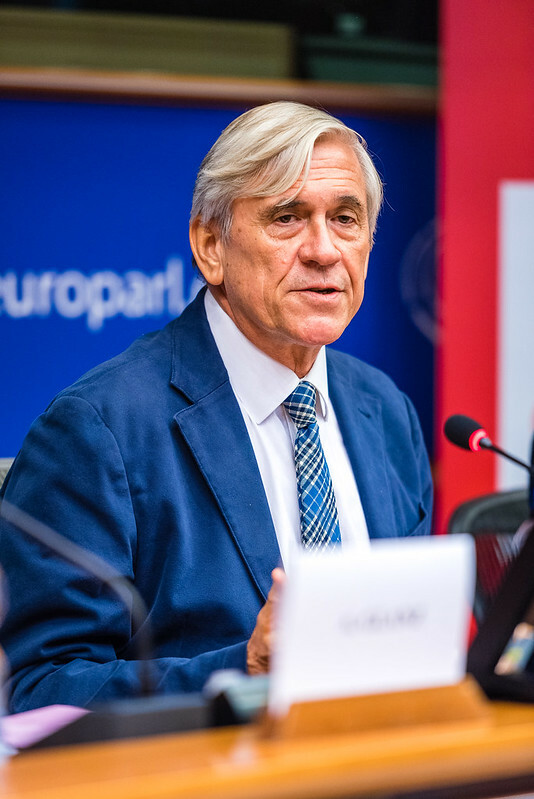 He gained experience in social policy at the European Social Observatory (OSE) and the Directorate-General for Employment, Social Affairs and Inclusion of the European Commission. Currently, he is responsible for AGE’s advocacy work around access to quality long-term care and the prevention of elder abuse, and as such coordinates AGE’s task force on Dignified Ageing. 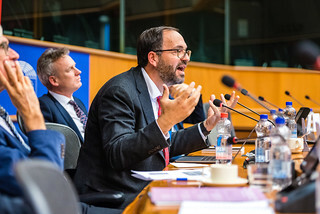 He has been part of AGE’s delegation to the United Nations Open-Ended Working Group on Ageing, which discusses the enjoyment of human rights by older persons worldwide. 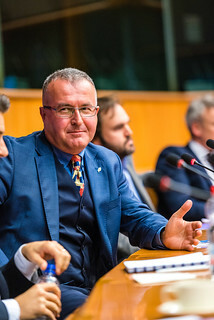 Piotr Szukalski obtained his Ph.D in economics at the University of Lodz, where he works as associate professor in its Chair of Applied Sociology and Social Work. 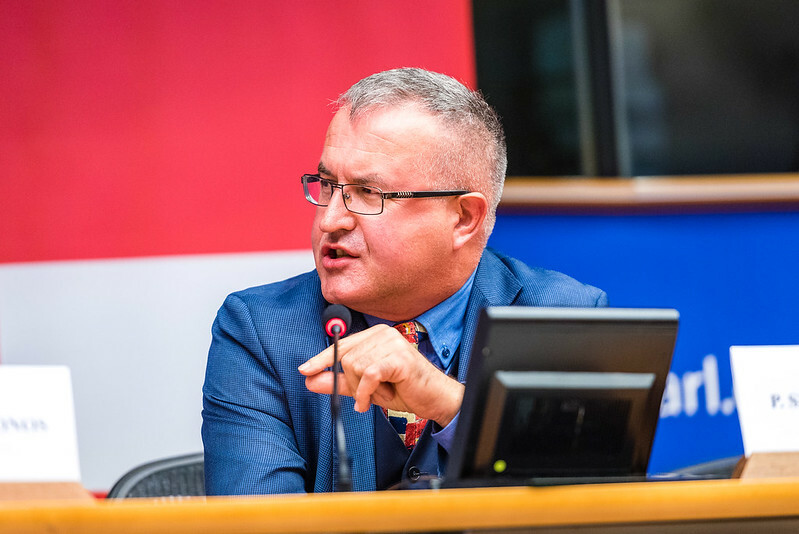 He is member of Committee on Demographic Studies, Polish Academy of Sciences, and Committee on Forecasting, Polish Academy of Sciences. He is also member of the National Council for Development at the President of the Republic of Poland, the Governmental Council for Population Policy at the Polish Prime Minister, and the Council for Senior Policy at the Polish Minister of Family, Labour, and Social Policy. 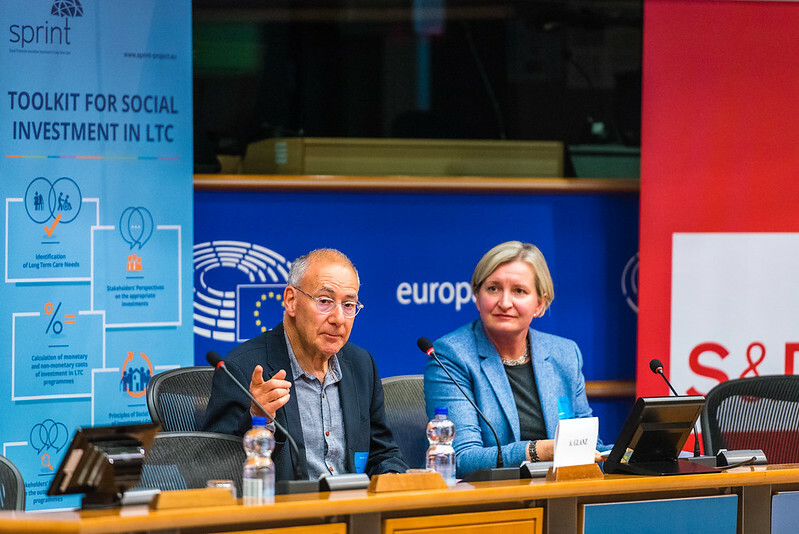 He has published over 250 articles and chapters related to social gerontology, demography, intergenerational relations and family issues. 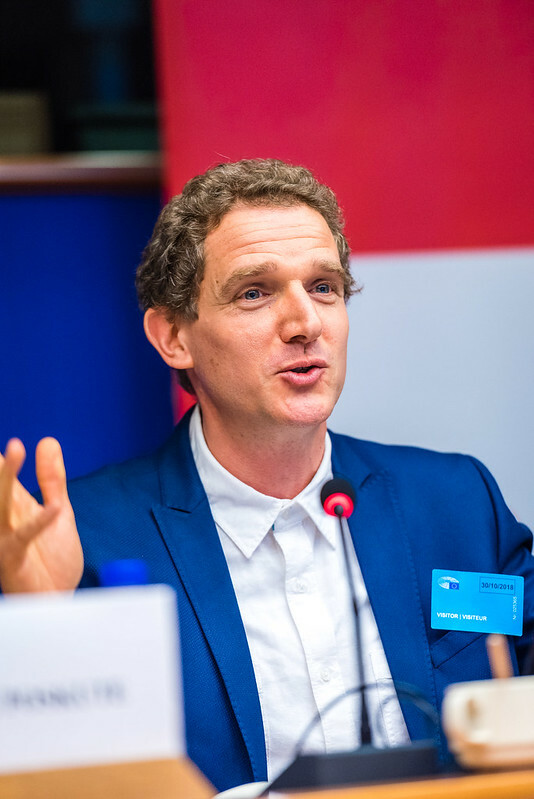 His research interests are in family care-giving, older adults activities, economicactivity of the elderly, ageism, intergenerational relations, regional demography. Stecy Yghemonos is the Executive Director of Eurocarers, the European association working for carers. 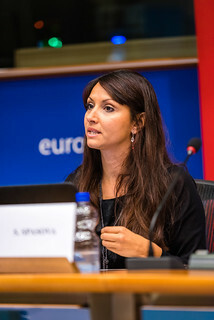 A trained journalist, Stecy is an EU policy and communication specialist. 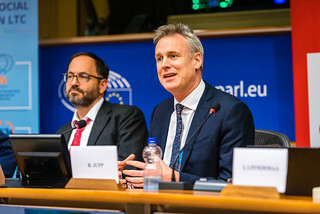 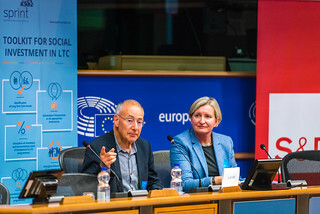 Over the last fifteen years he has acted as a Project, Advocacy and Communications Director in organisations promoting and defending the reinforcement and harmonisation of domestic and foreign EU policies in the fields of press freedom, social justice, children’s rights, development, health, education and vocational training. 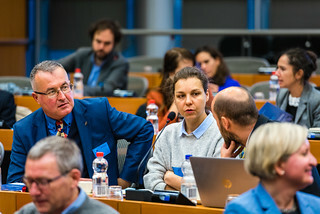 Together with the Eurocarers Steering Committee he sets the direction of the Eurocarers network, develops and oversees the implementation of the action plan. 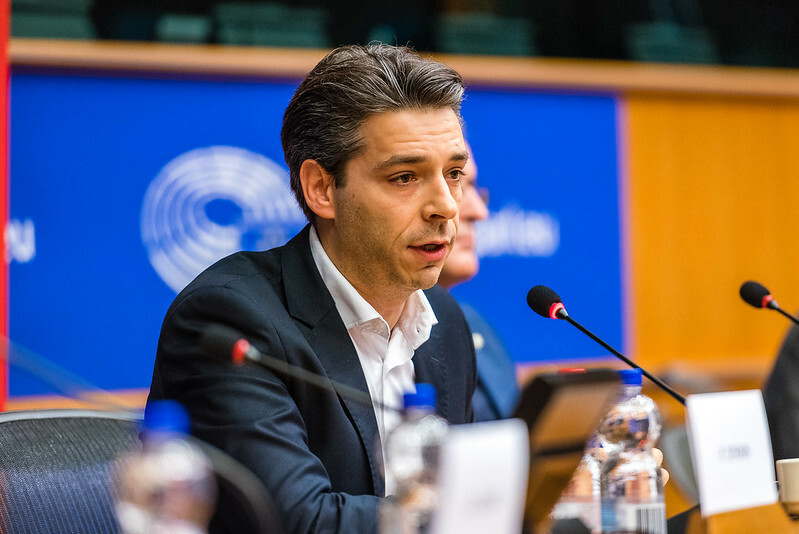 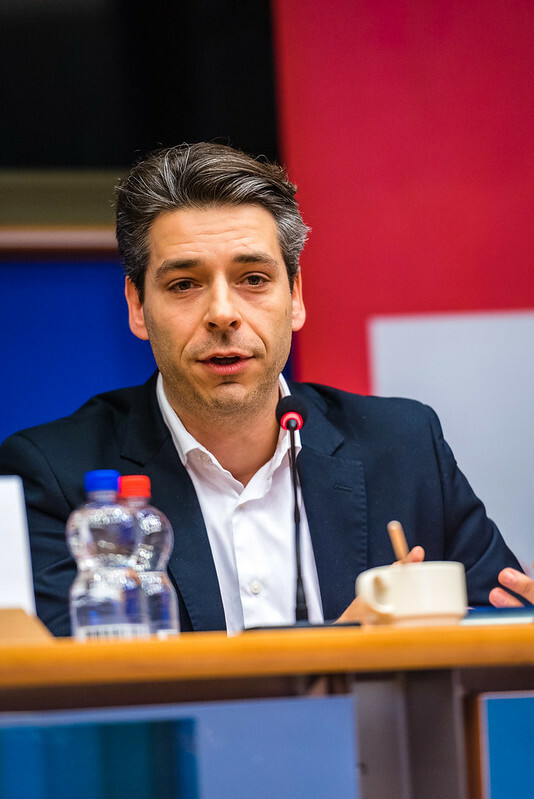 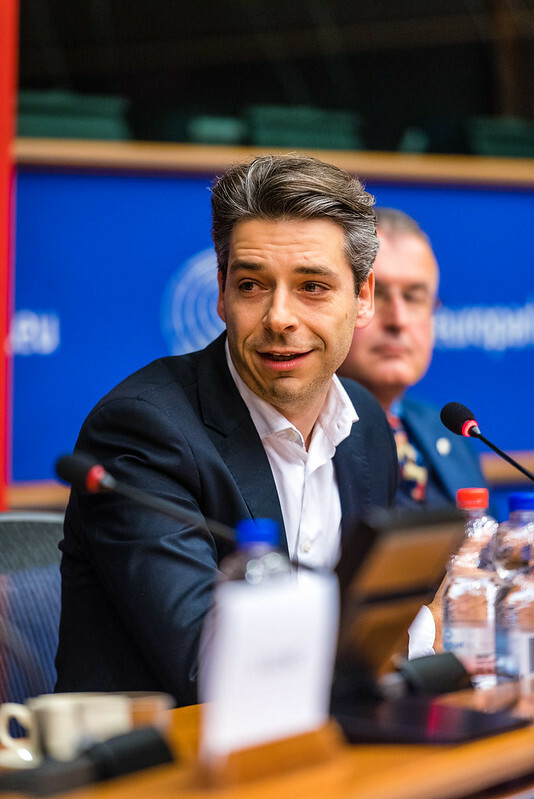 He is also responsible for the Eurocarers secretariat in Brussels as well as for its activities in the fields of network development, project management, fund raising, policy influencing, advocacy and communications.